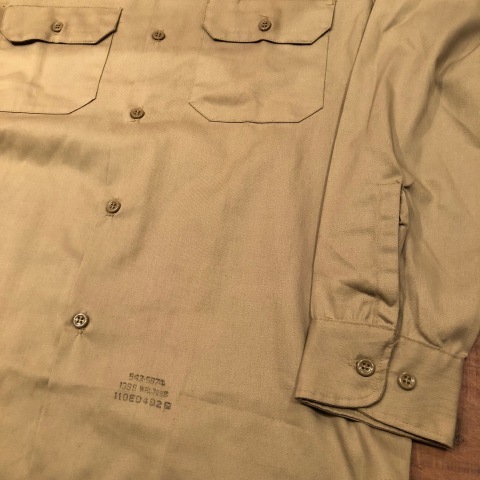 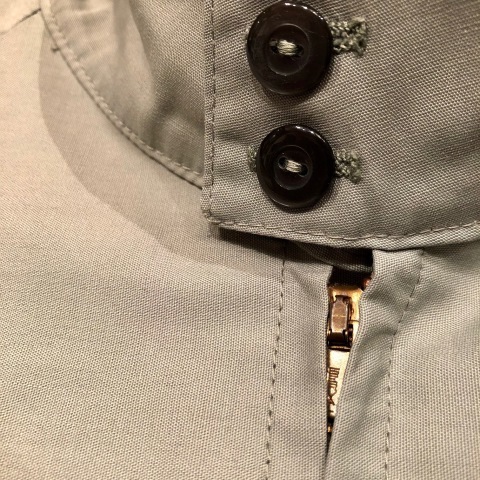 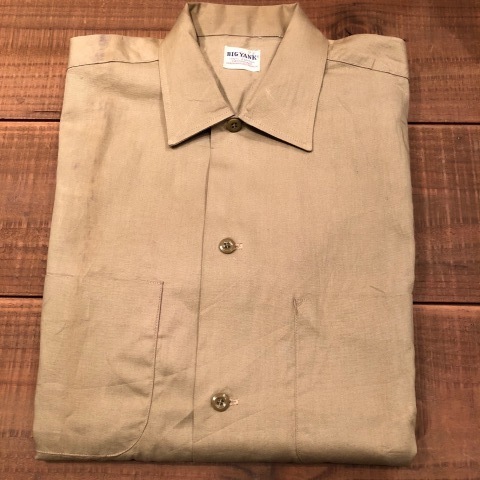 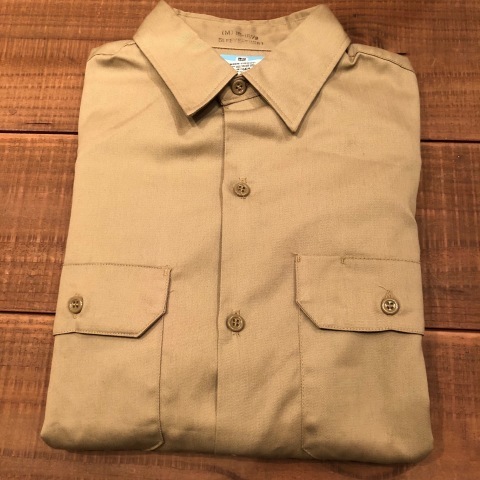 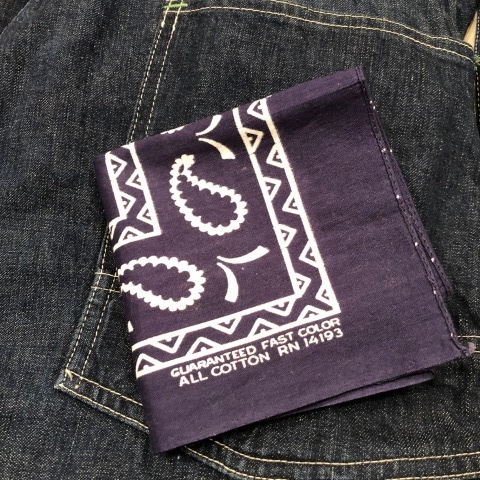 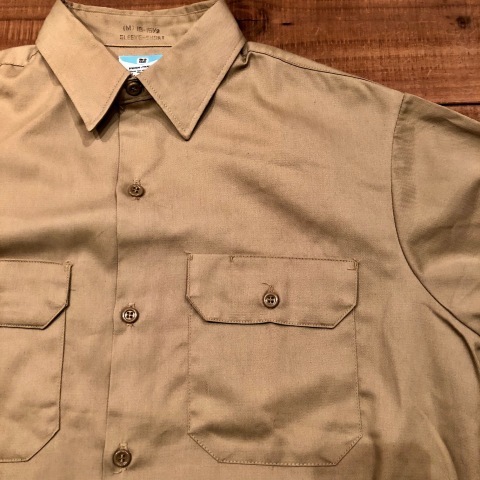 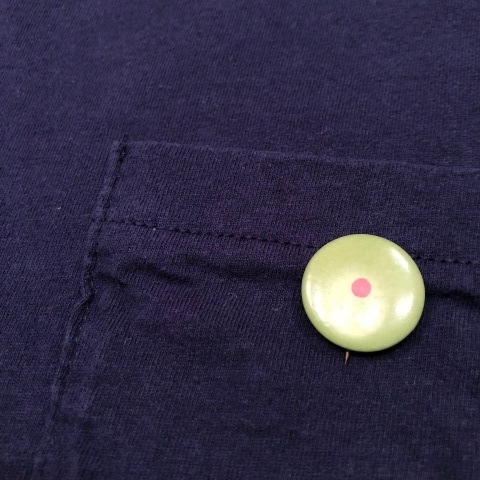 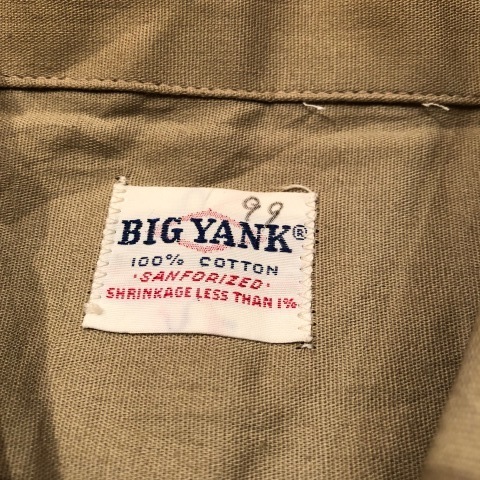 1960s " BIG YANK "
BRAND : 1960s " BIG YANK "
VINTAGE S/S WORK SHIRTS . 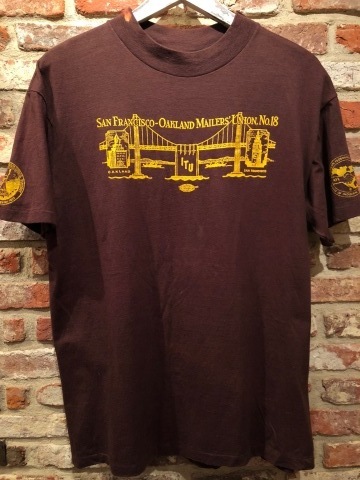 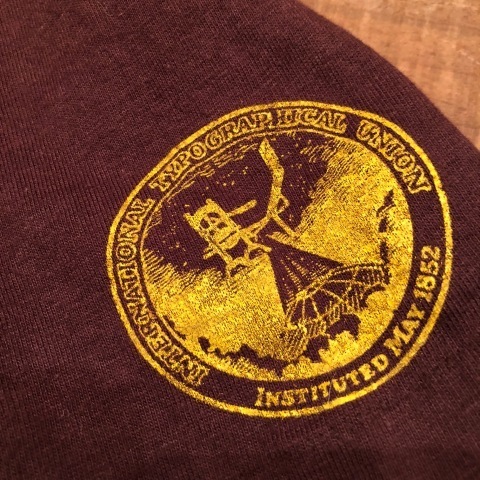 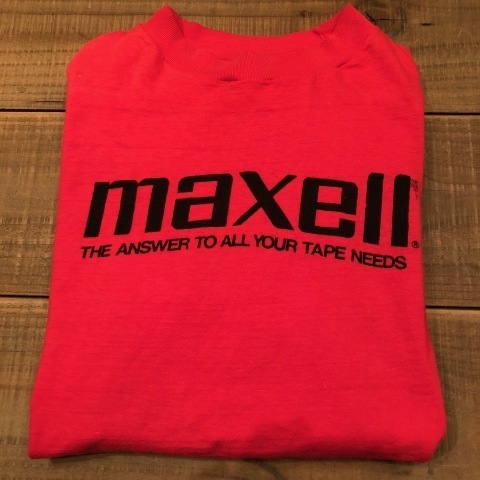 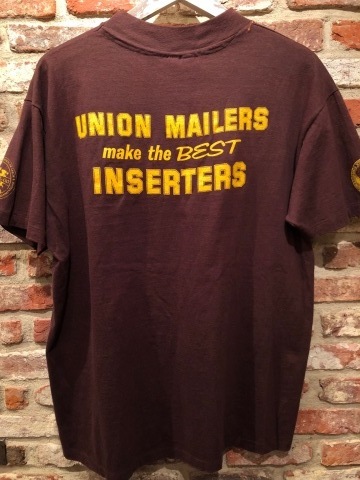 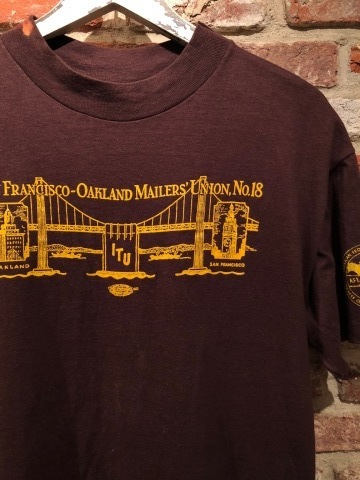 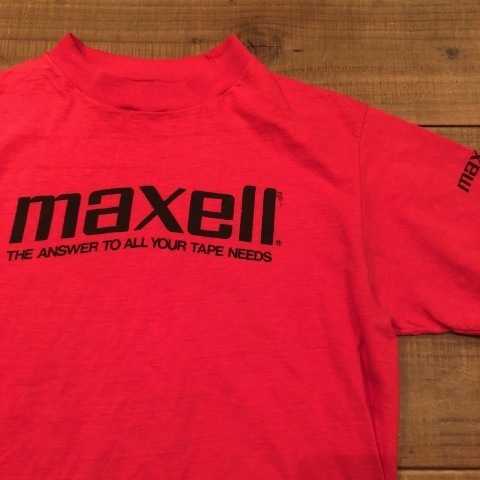 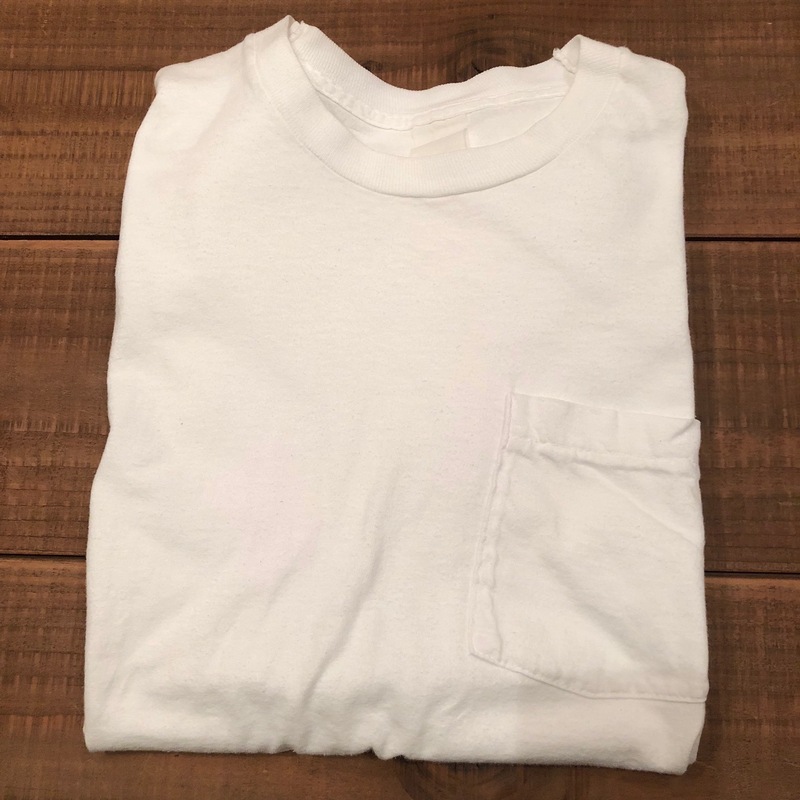 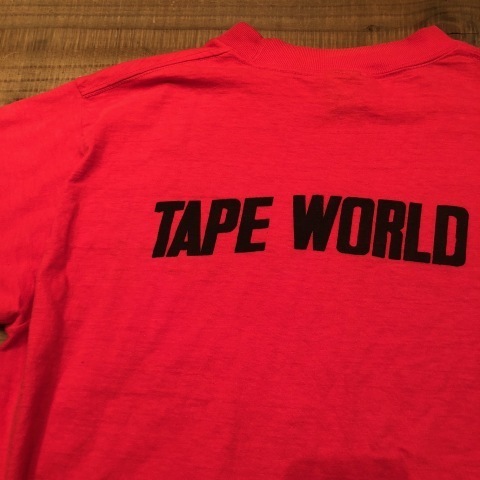 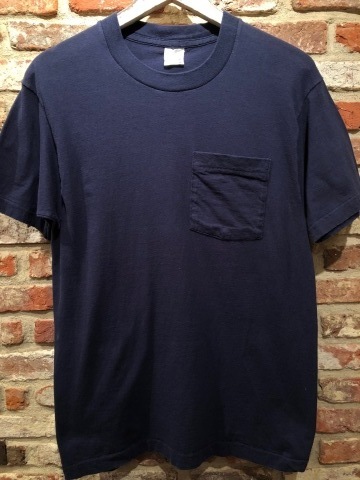 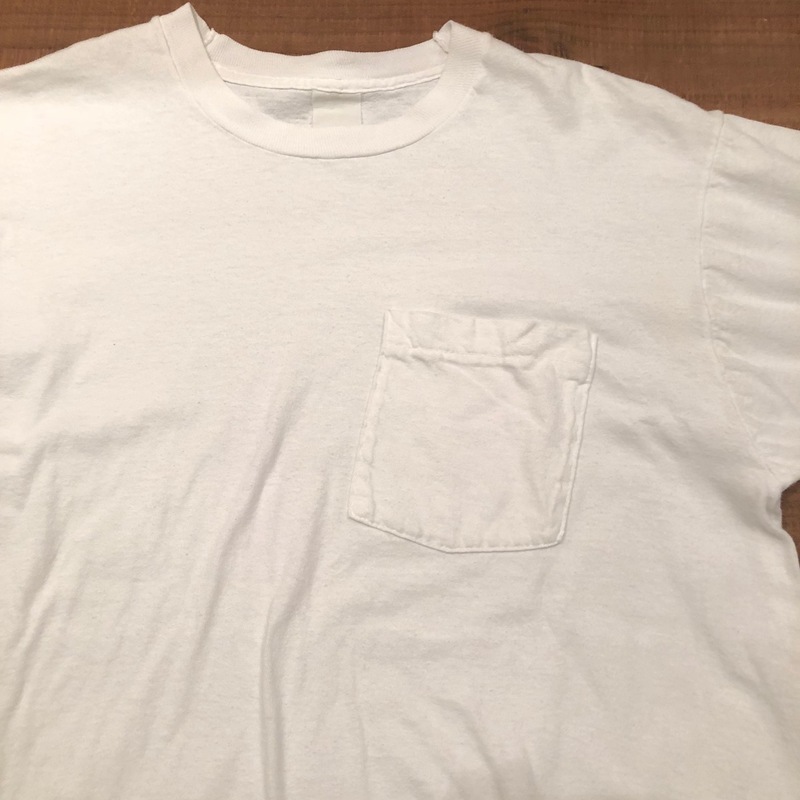 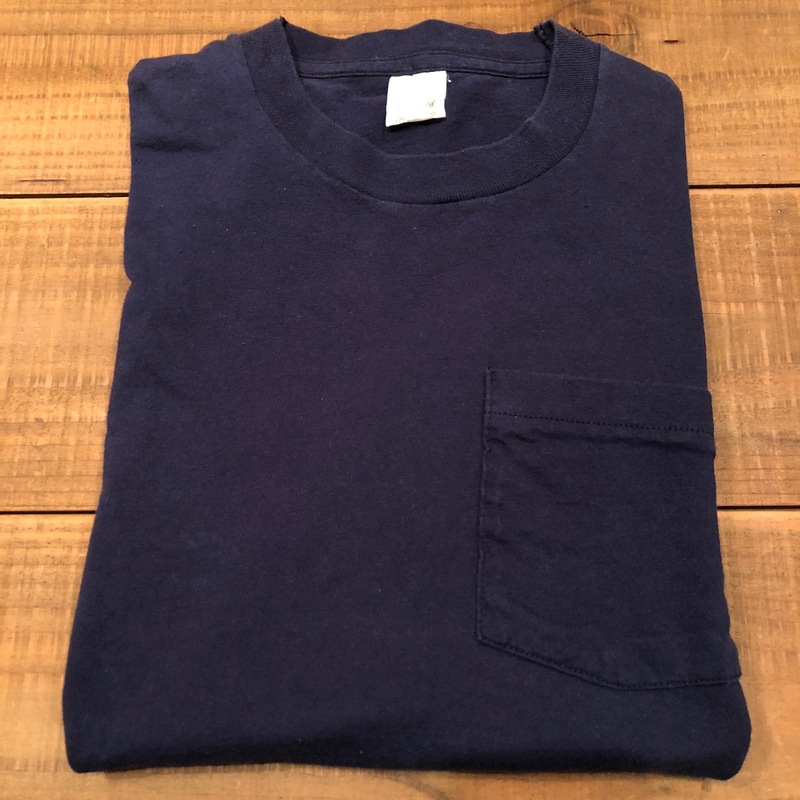 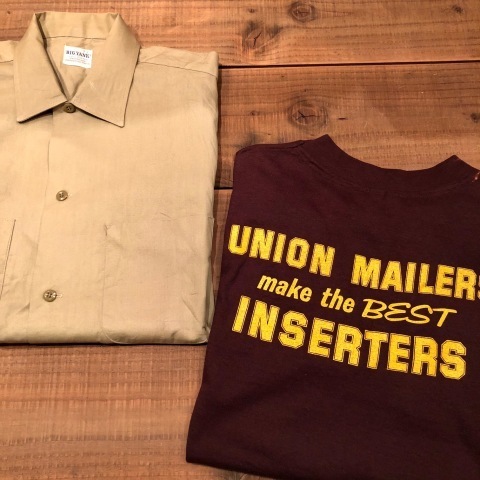 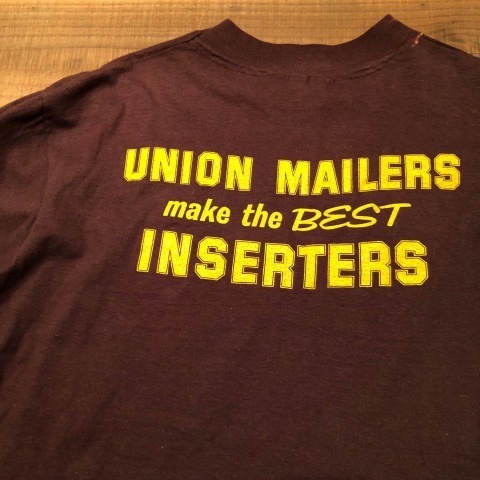 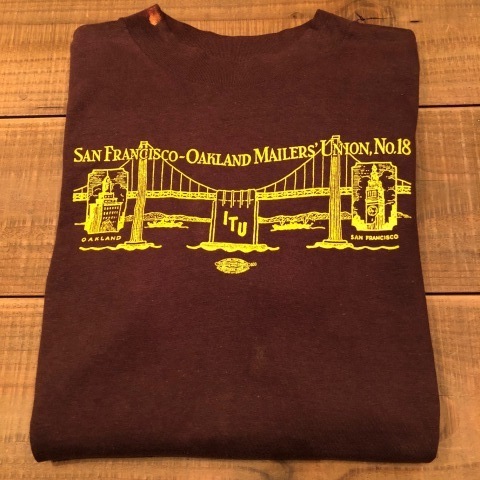 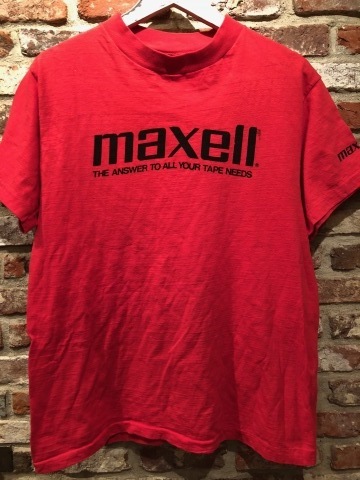 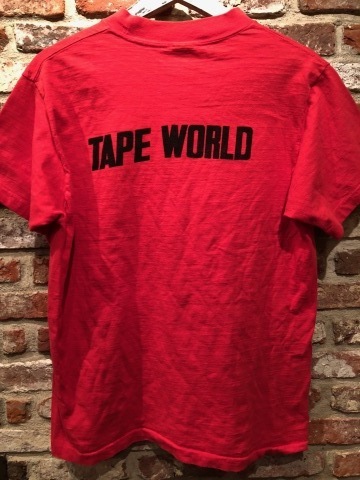 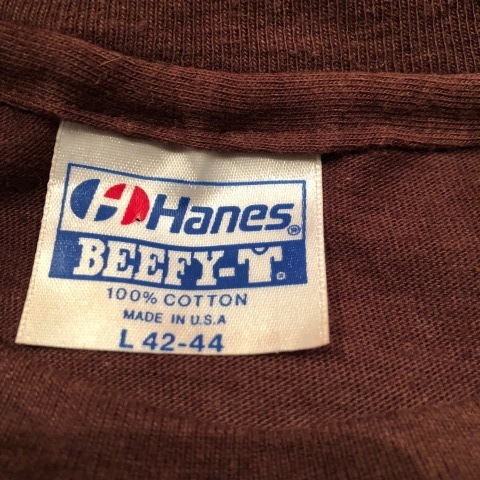 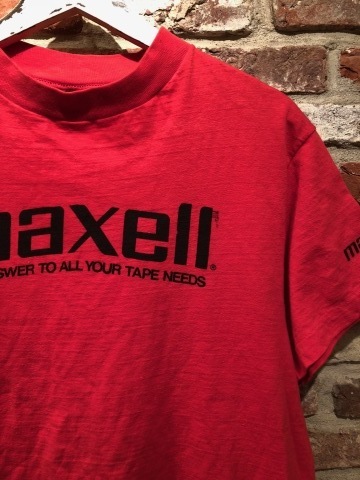 BRAND : 1980s " HANES - BEEFY T - "
VINTAGE U.M Tee SHIRTS .
" 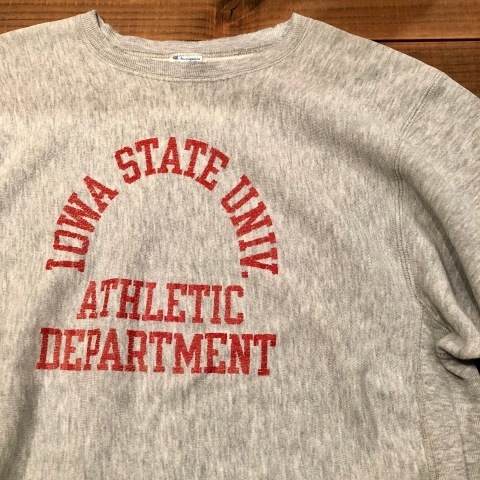 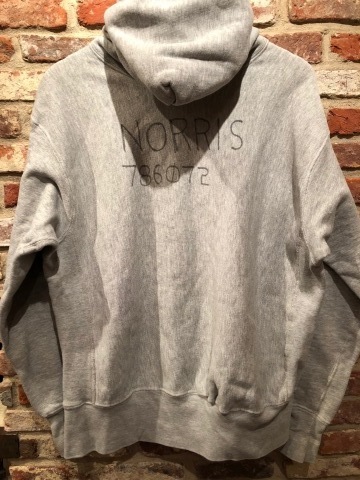 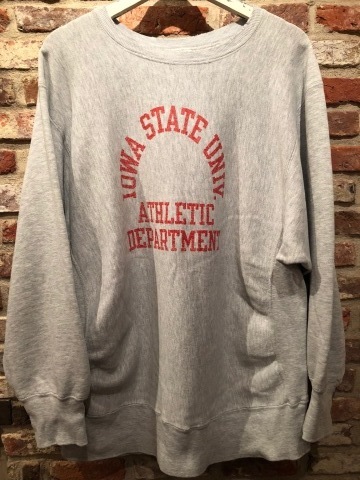 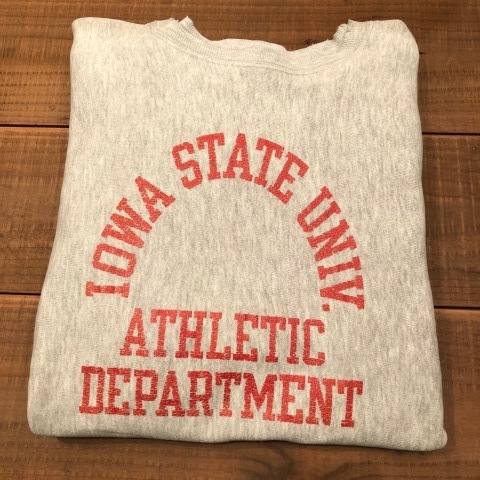 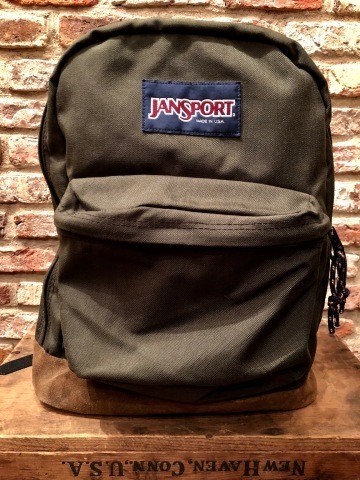 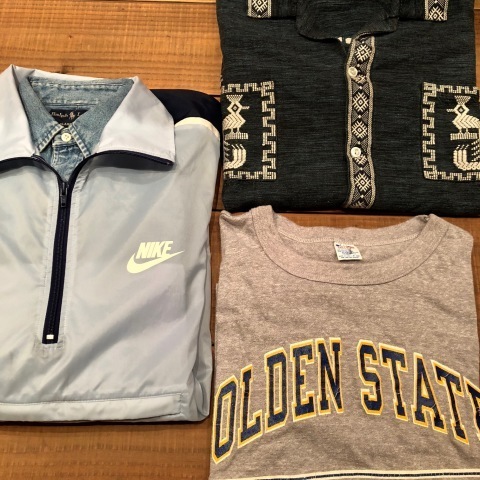 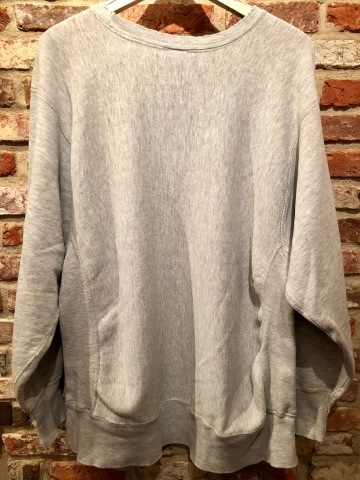 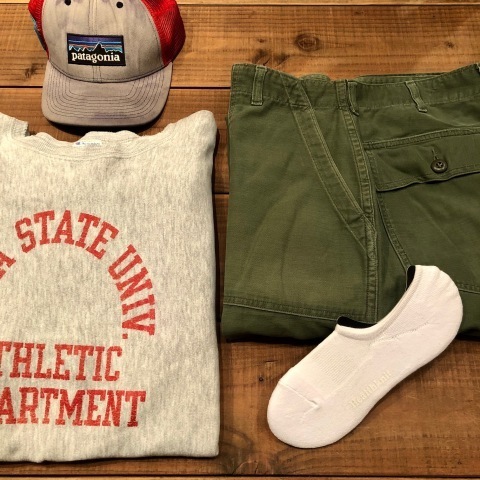 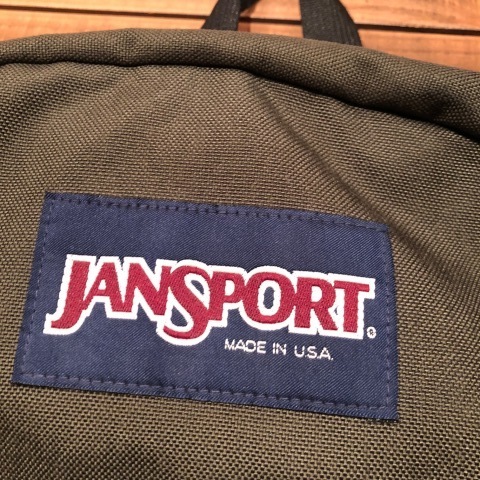 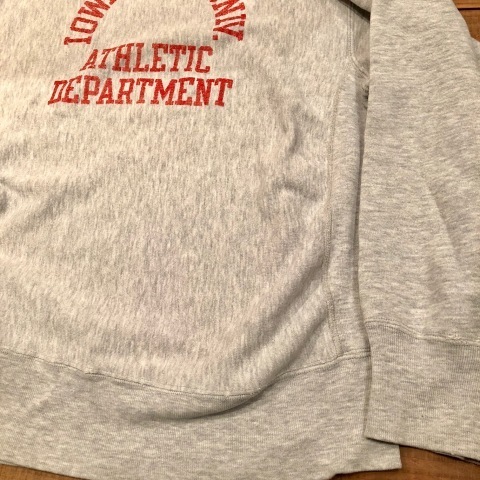 ８５ B.D.U ジャケット "
BRAND : 1985 " U.S.M.C "
1980s " JAN SPORTS "
BRAND : 1980s " JAN SPORTS "
VARSITY C/N SWEAT SHIRTS . 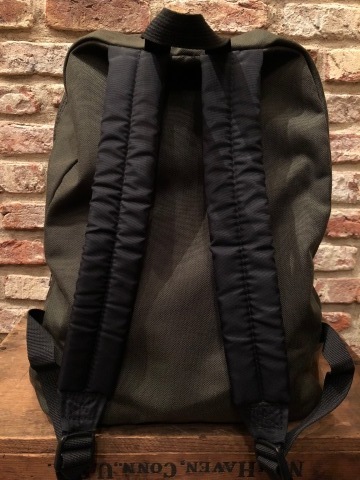 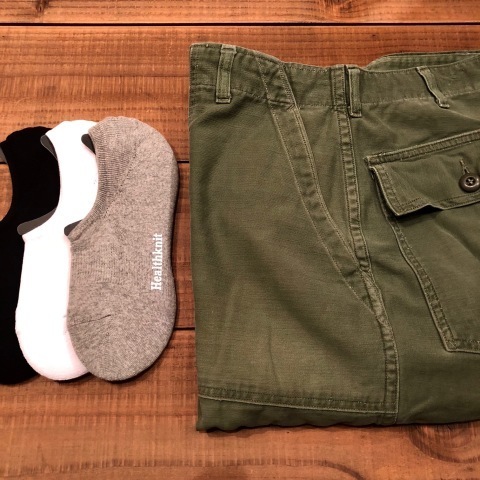 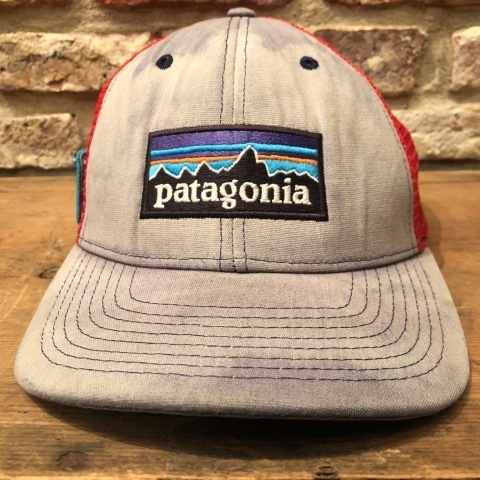 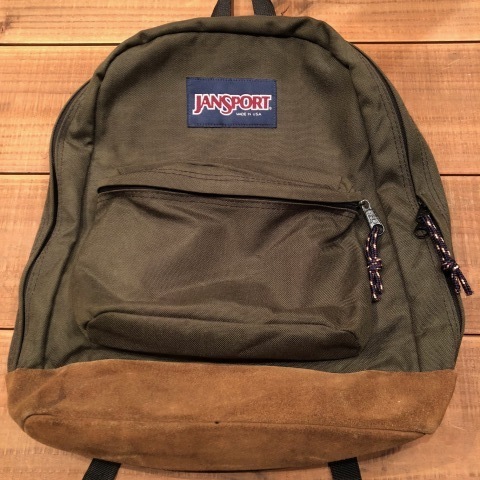 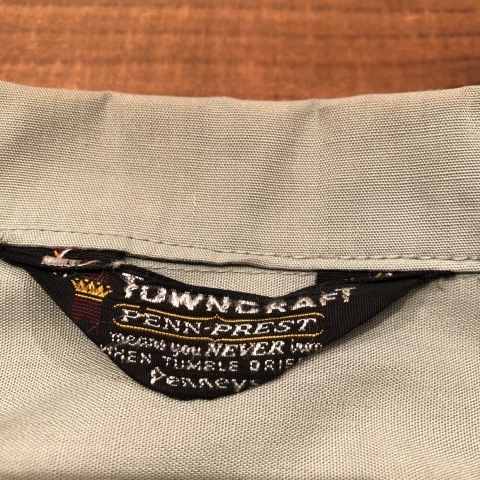 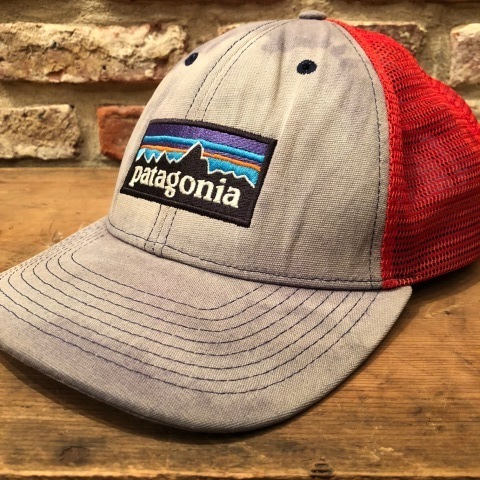 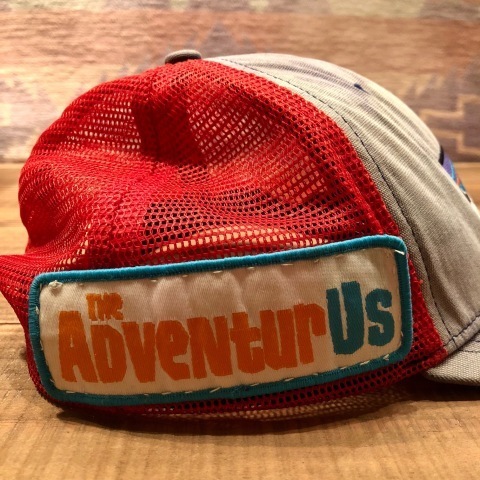 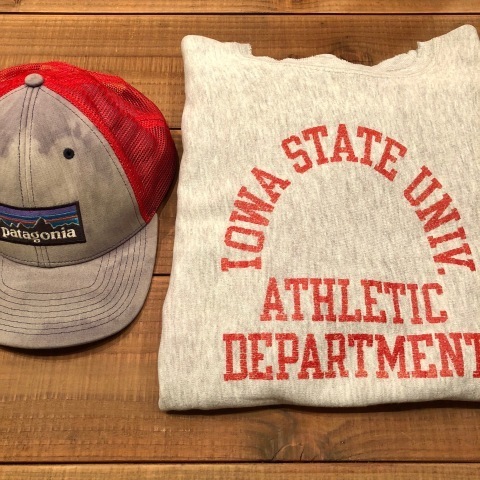 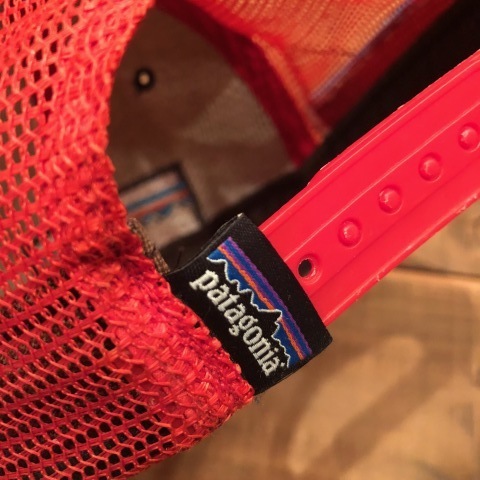 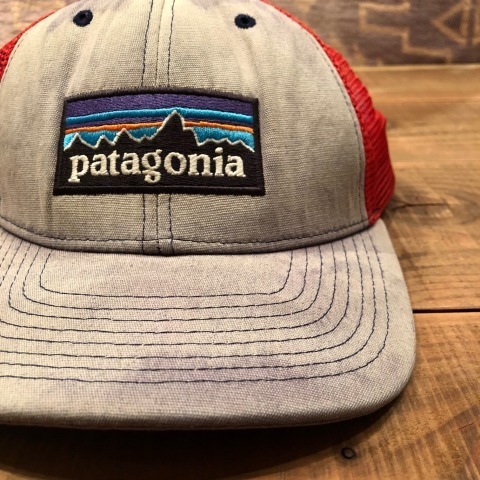 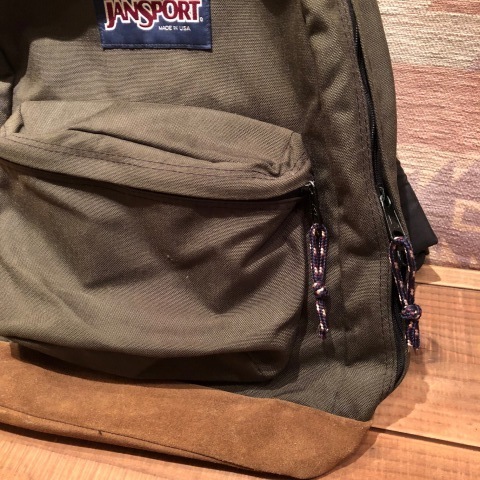 BRAND : 2000s " patagonia "
LOW crown OUTDOOR CAP . 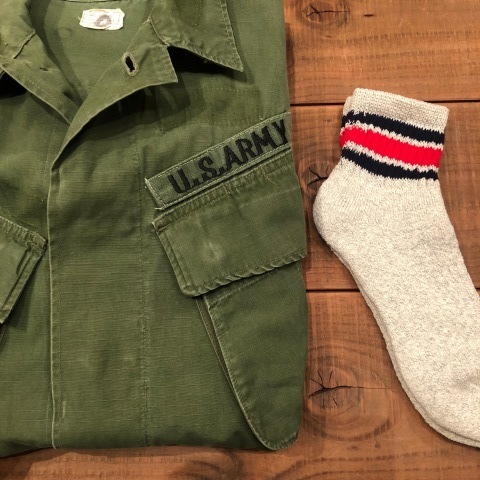 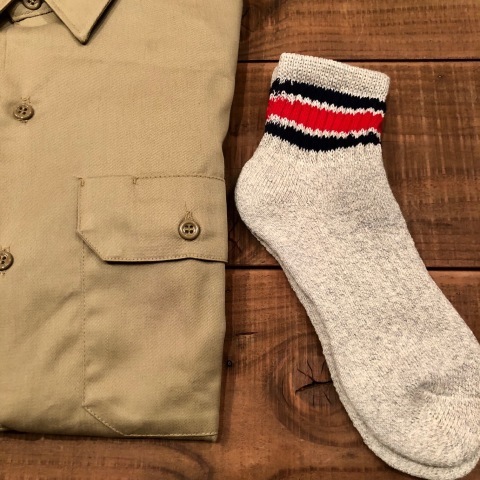 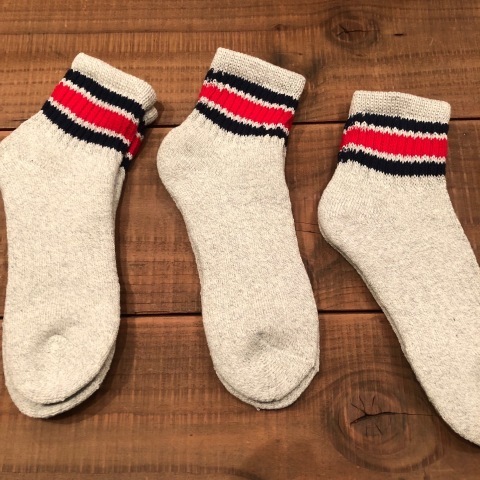 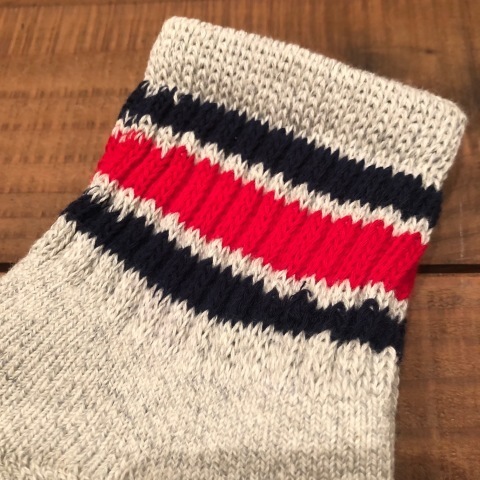 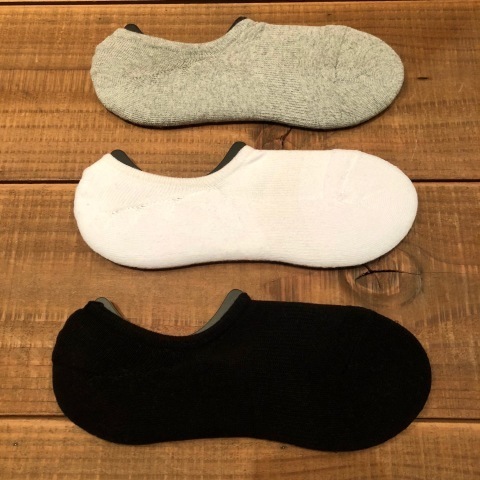 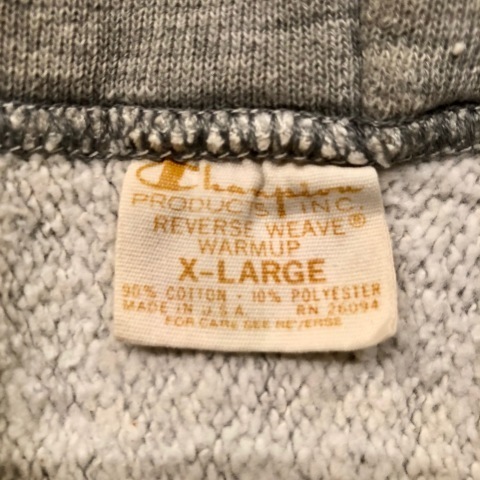 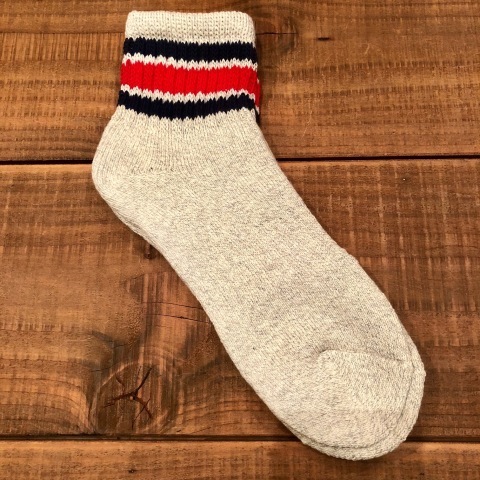 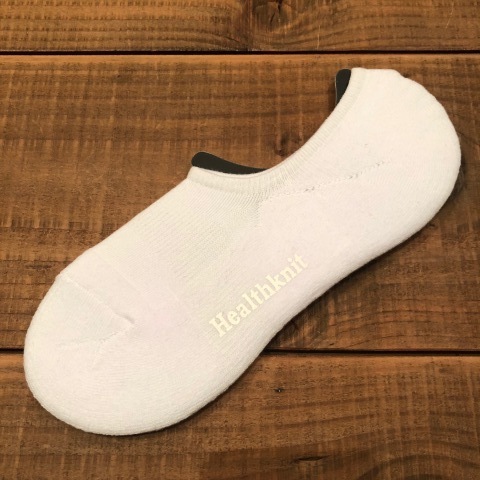 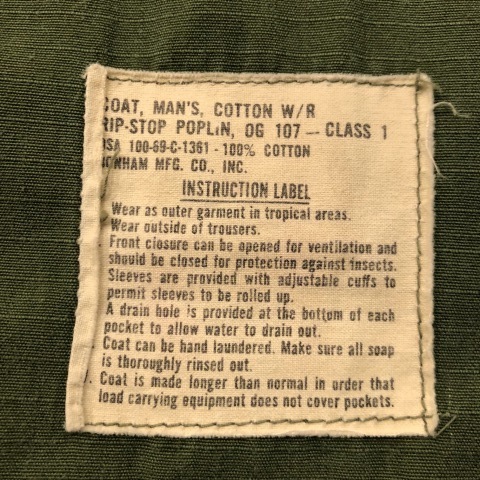 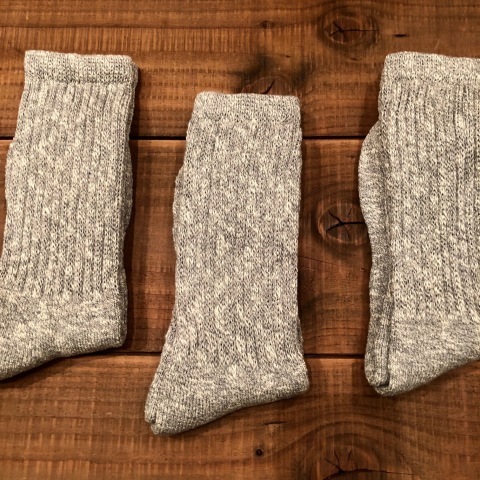 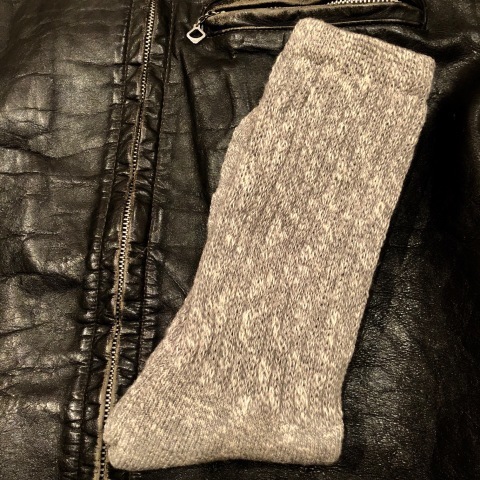 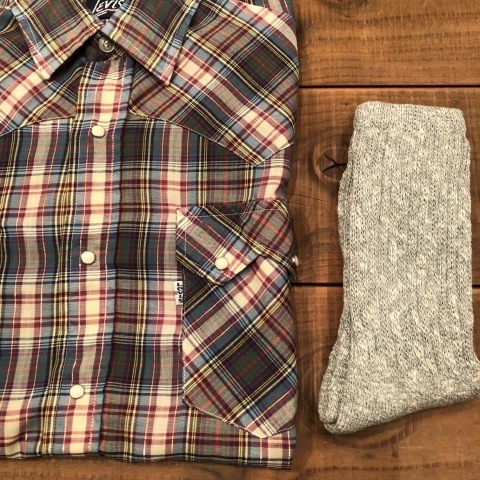 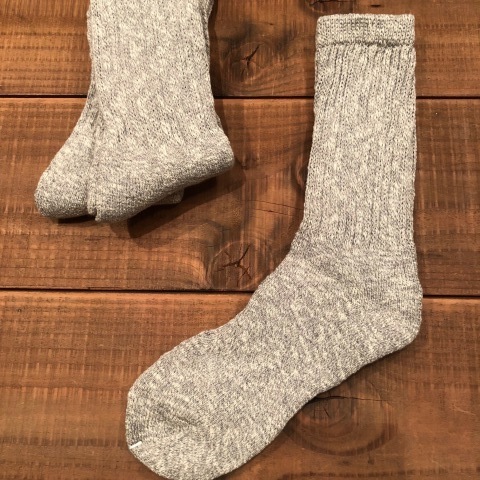 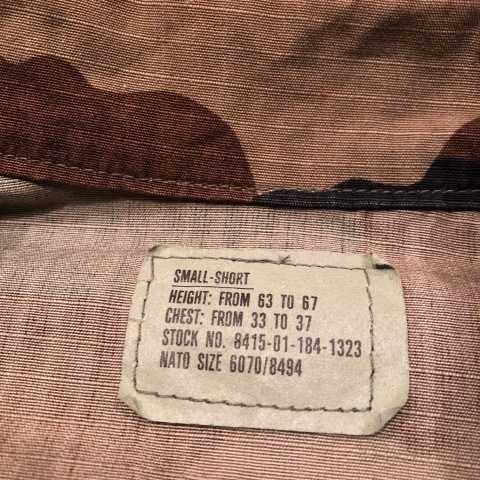 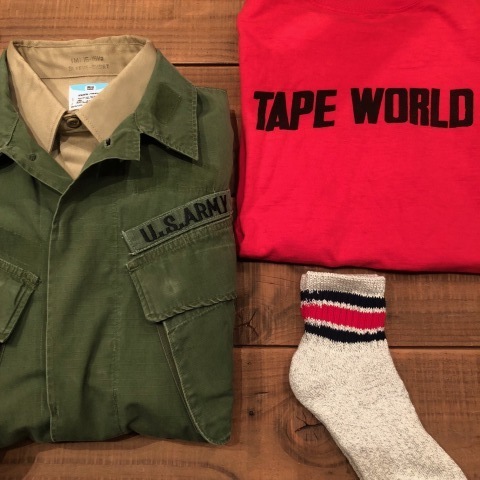 Late 1960s " U.S ARMY "
BRAND : Late 1960s " U.S ARMY "
ITEM : COTTON SUPORTER SOCKS . 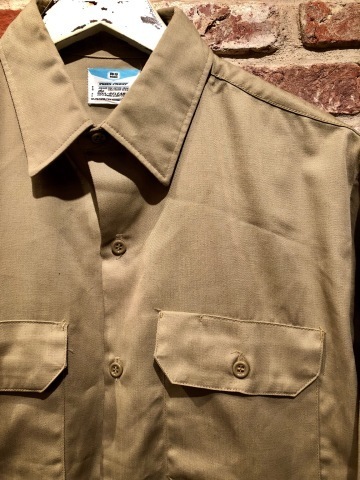 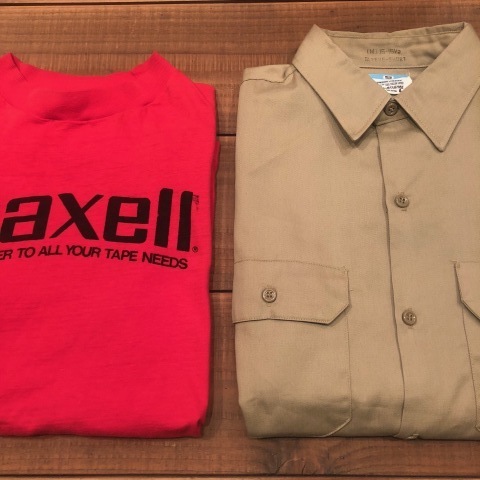 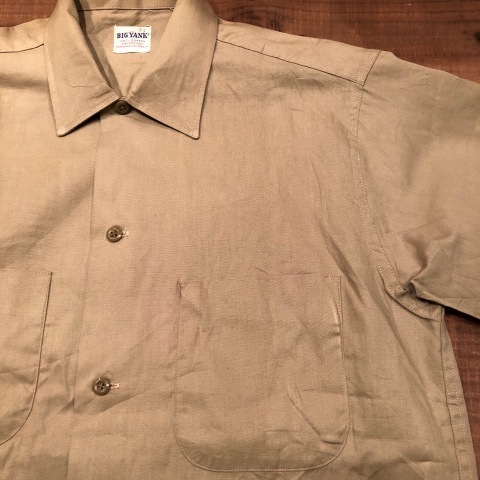 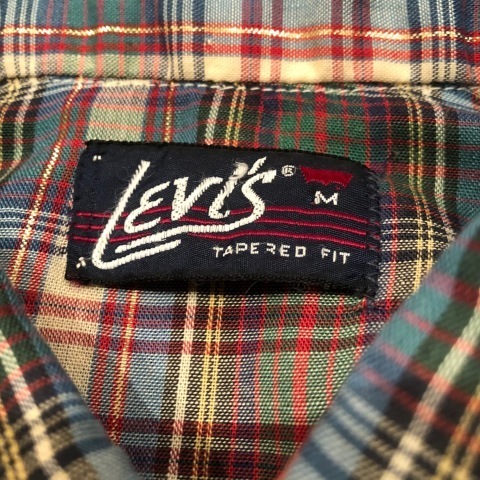 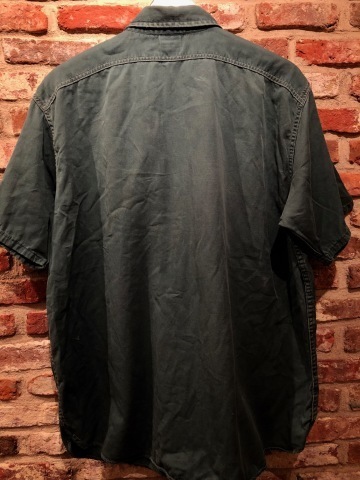 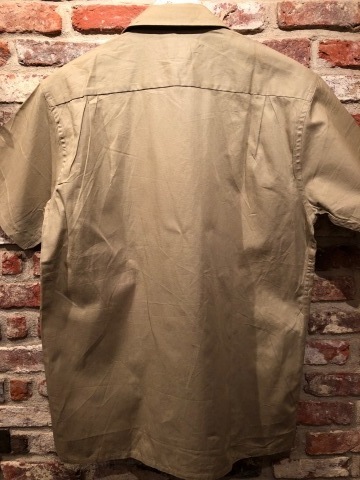 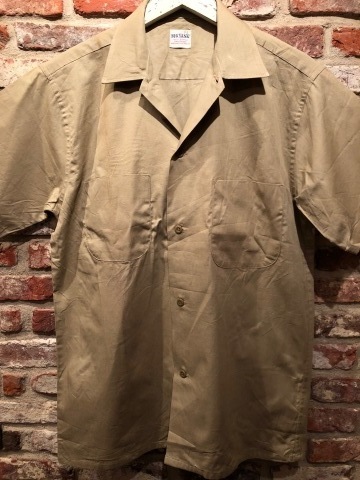 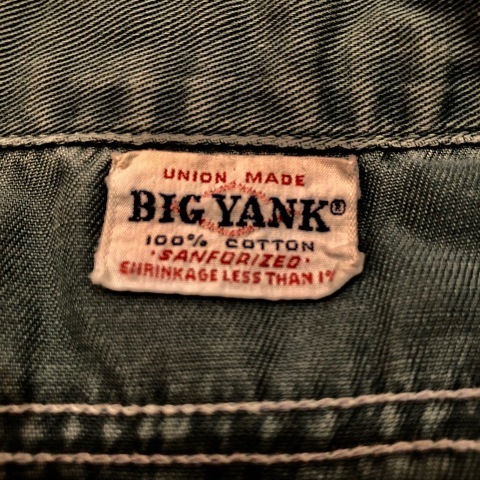 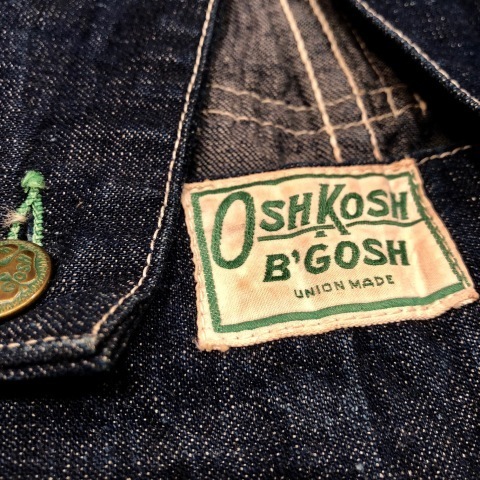 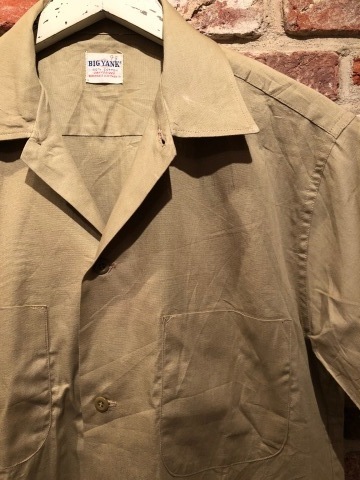 1950-60s " BIG YANK "
BRAND : 1950-60s " BIG YANK "
マチ付き S/S WORK SHIRTS . 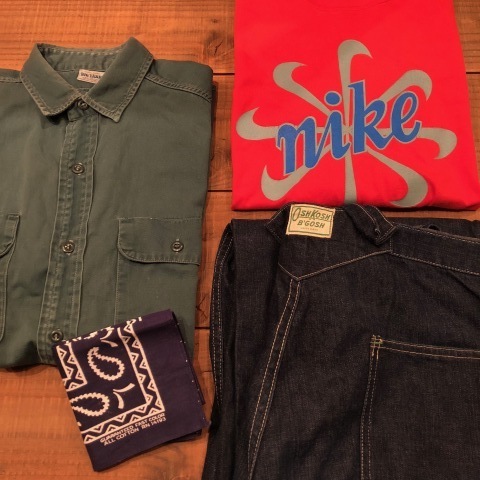 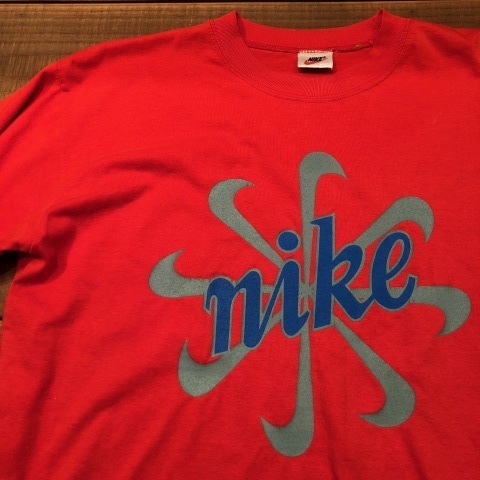 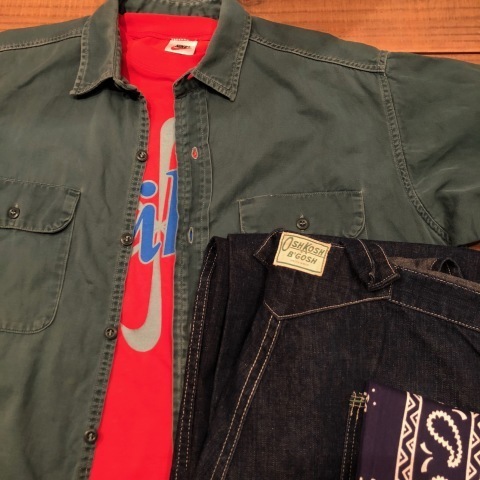 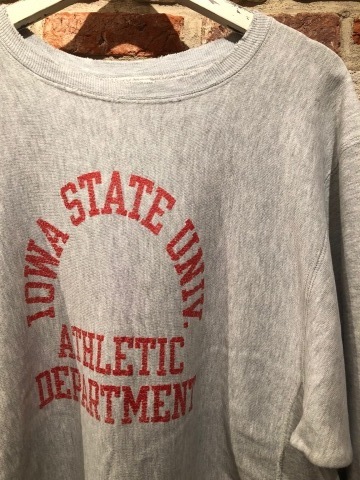 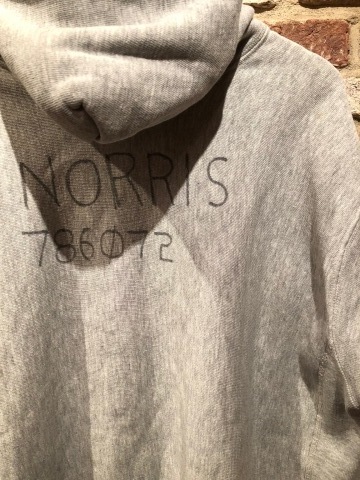 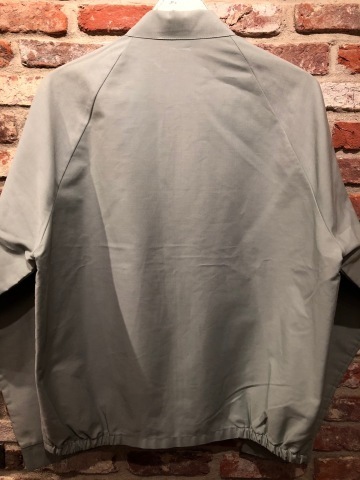 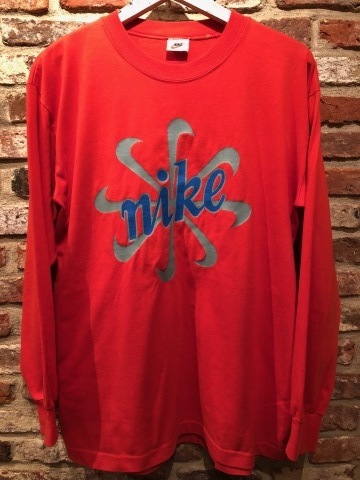 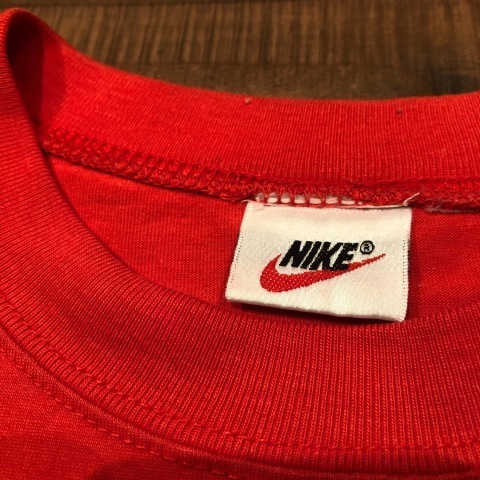 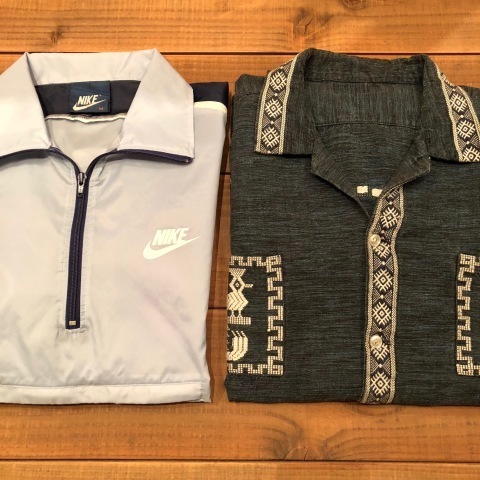 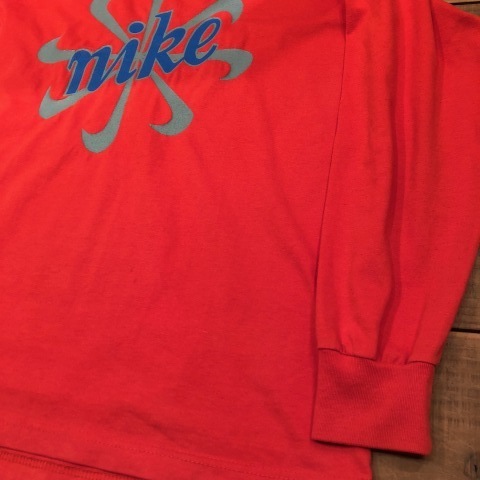 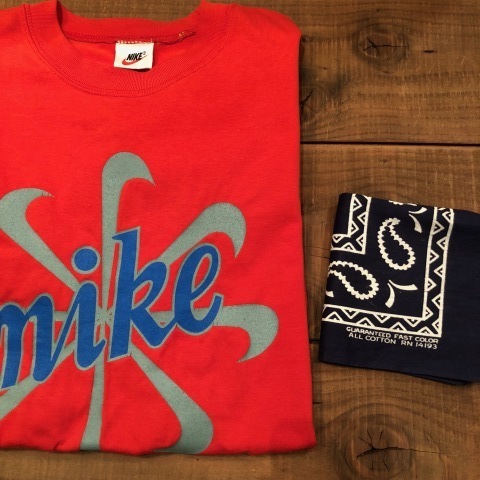 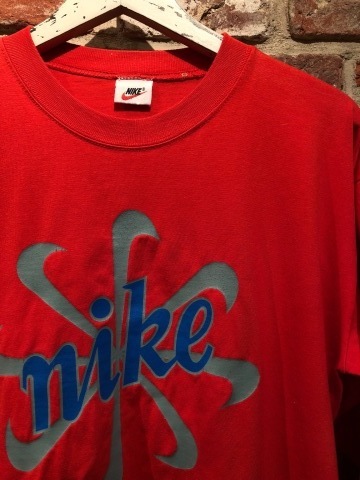 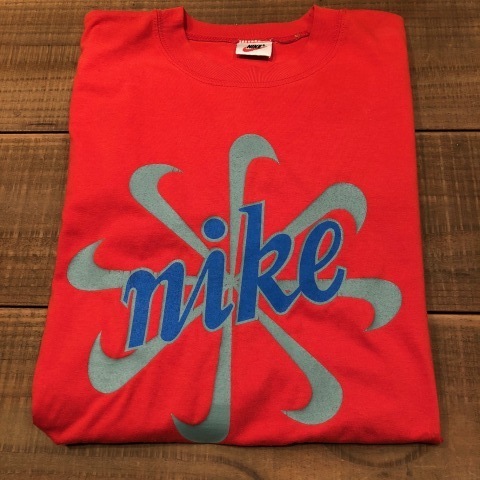 Late 1990s " NIKE - 銀タグ - "
BRAND : Late 1990s " NIKE - 銀タグ - "
REISSUE - 風車NIKE - L/S Tee SHIRTS . 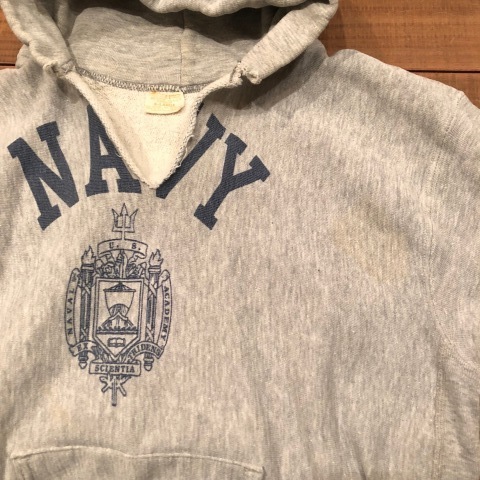 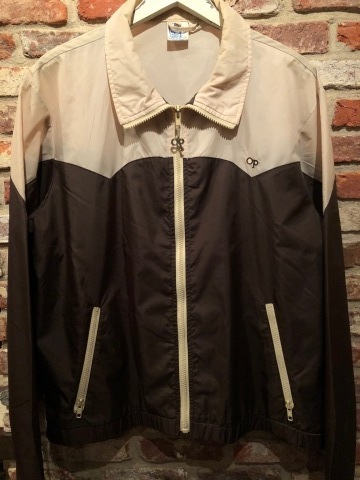 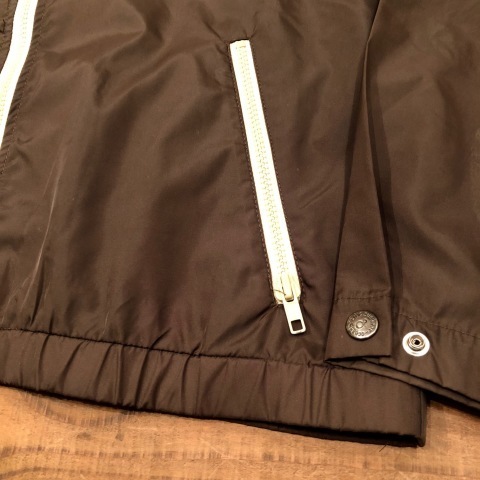 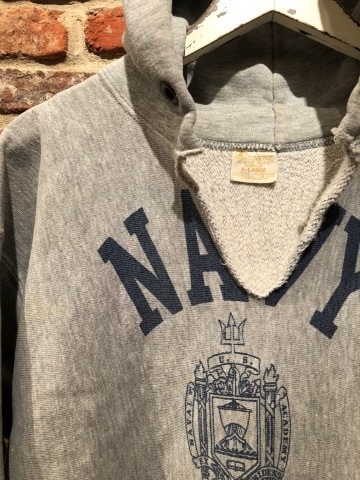 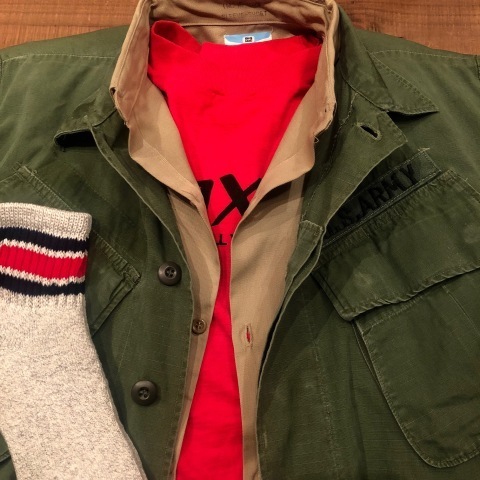 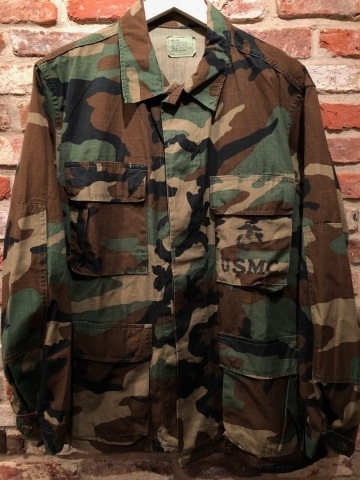 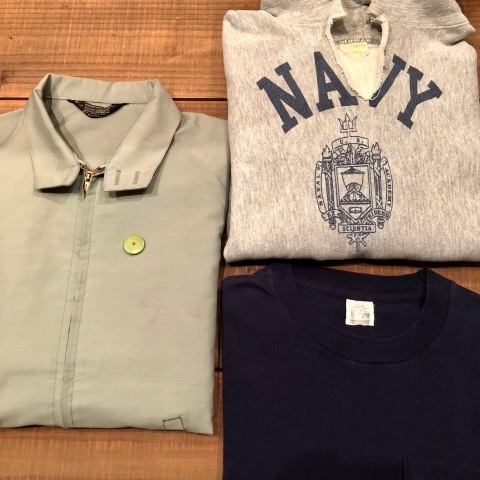 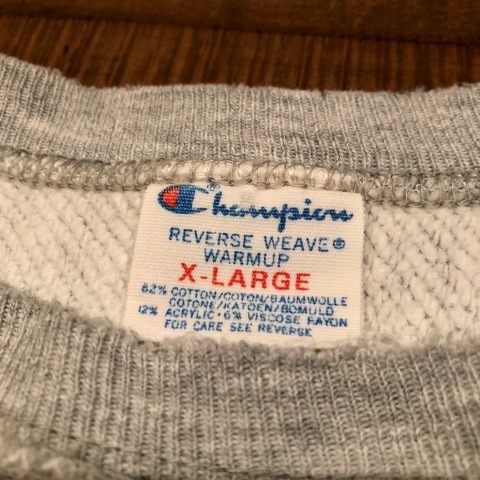 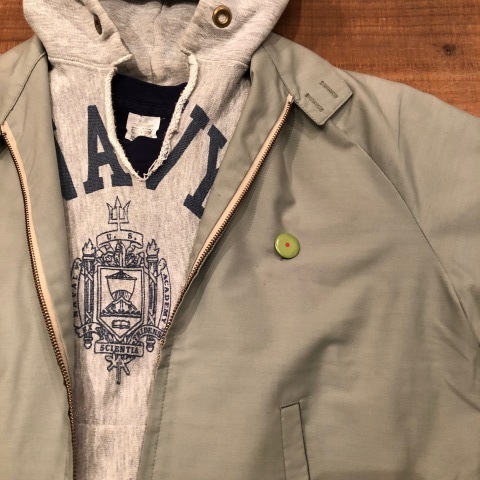 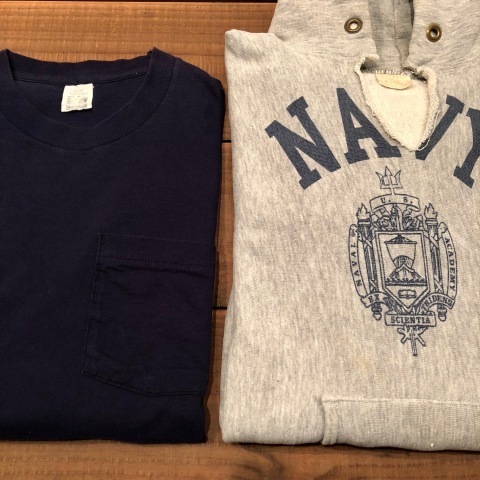 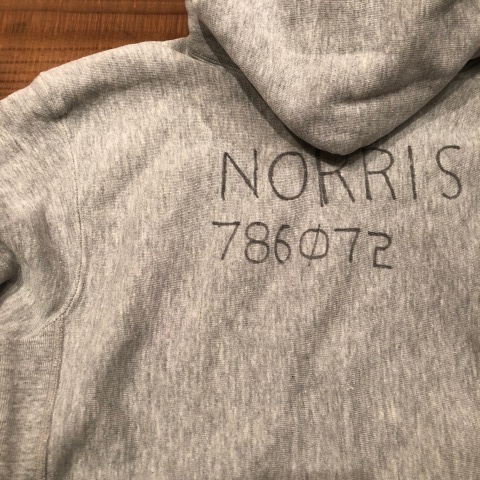 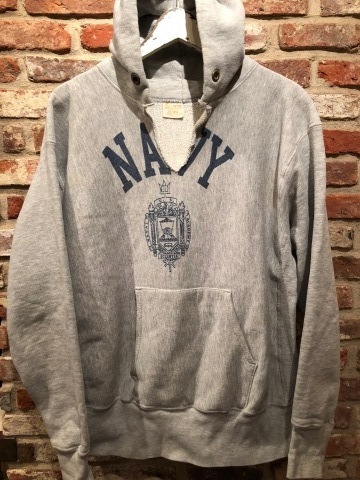 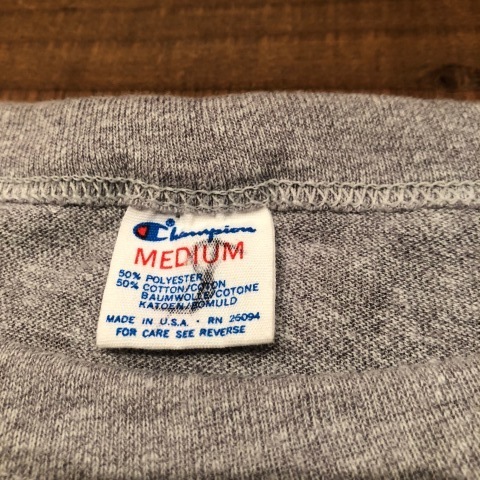 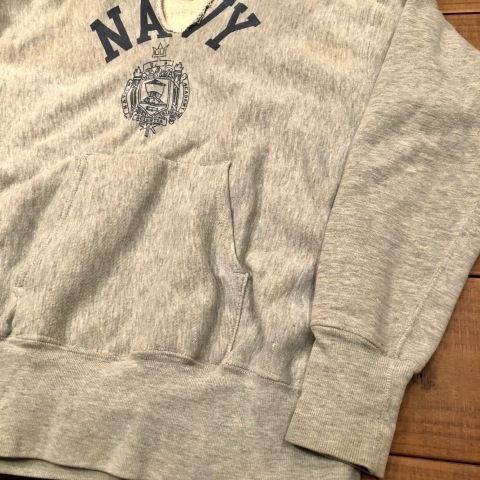 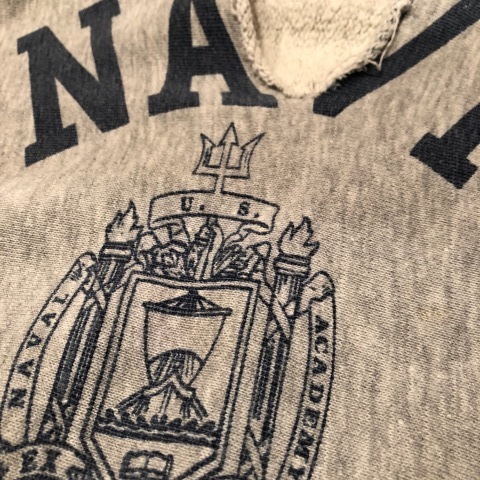 1973-76 " CHAMPION - 単色タグ - "
BRAND : 1973-76 " CHAMPION - 単色タグ - "
" U.S NAVY " SWEAT PARKA . 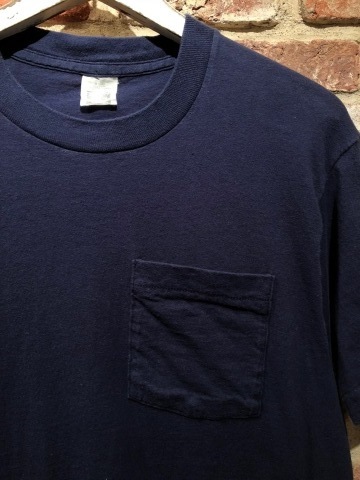 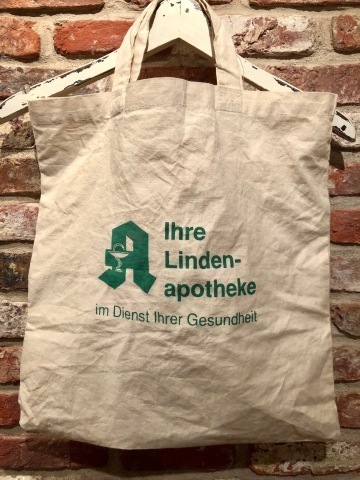 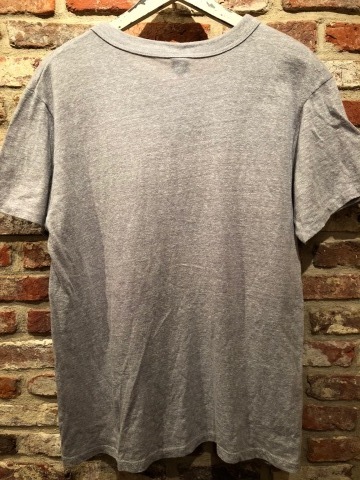 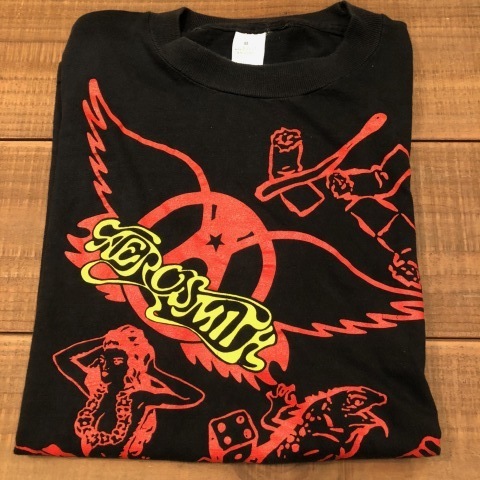 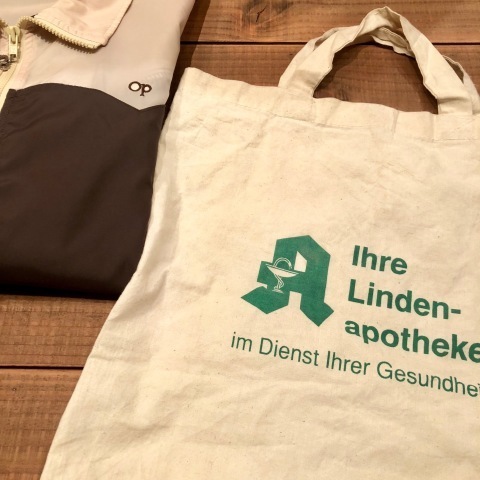 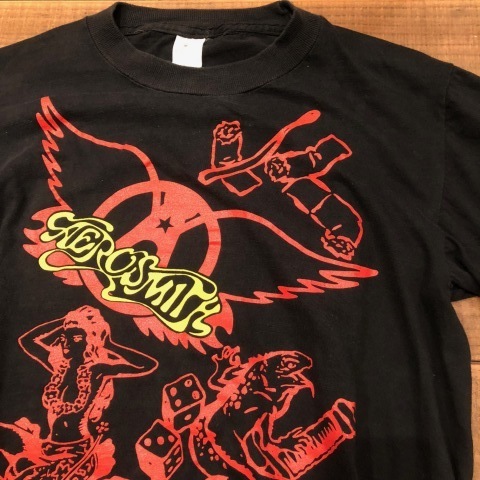 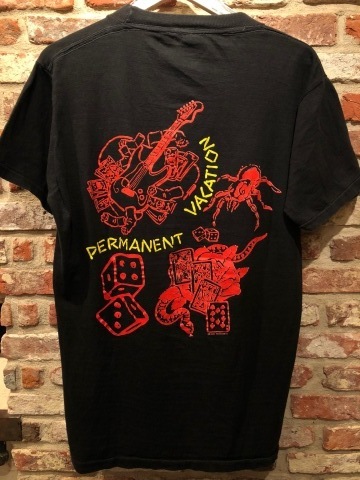 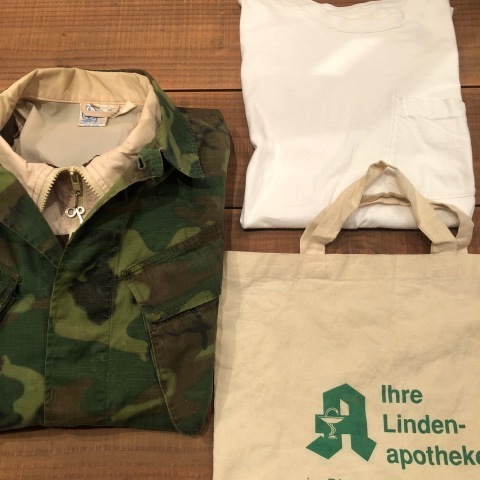 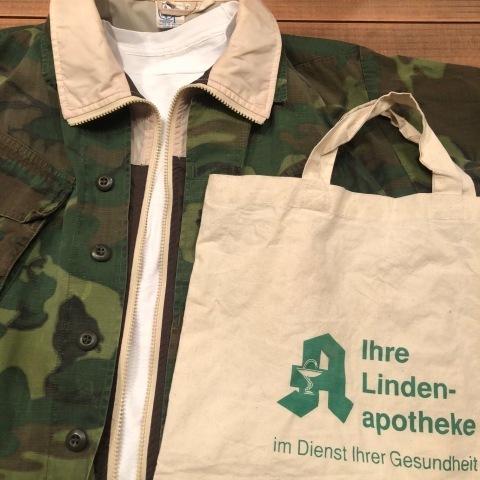 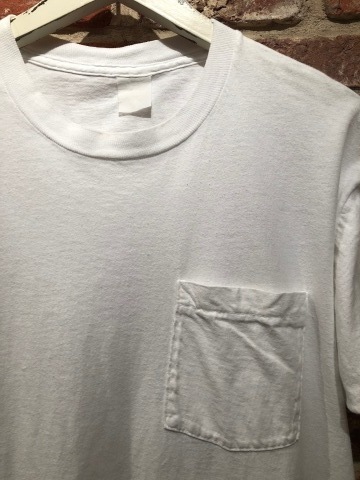 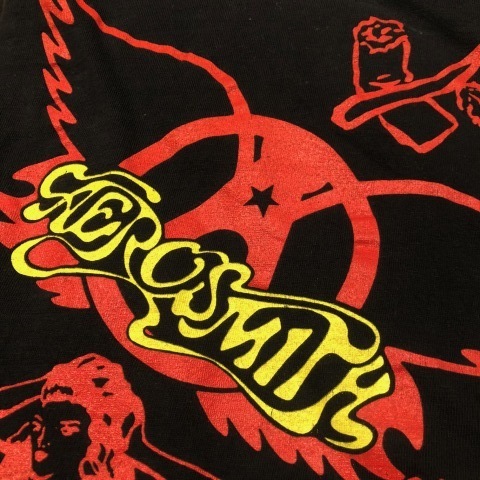 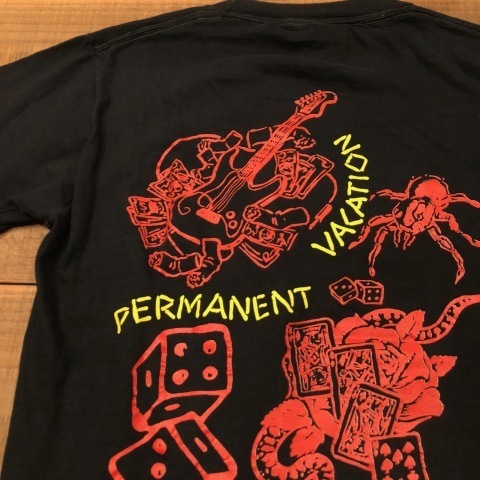 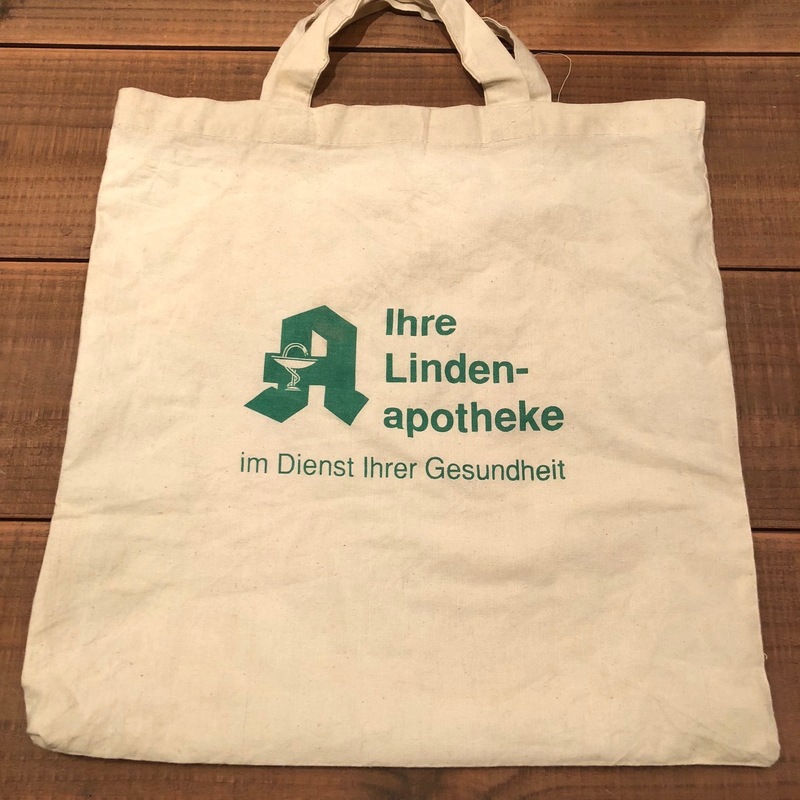 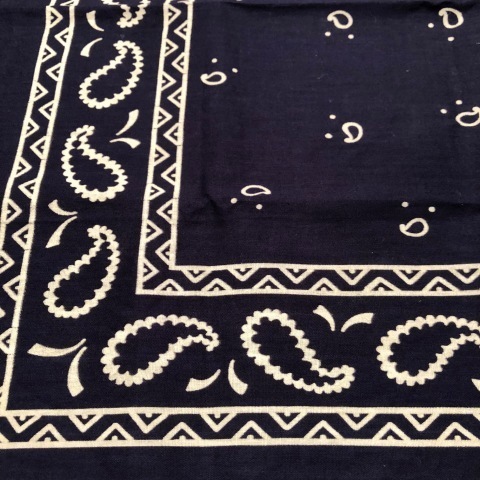 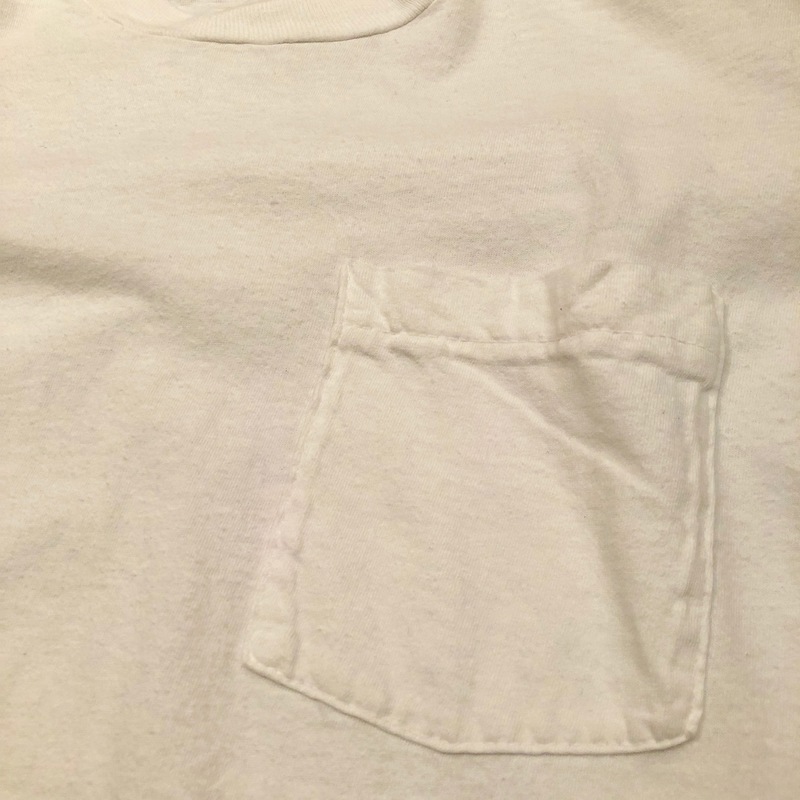 VINTAGE POKCET Tee SHIRTS . 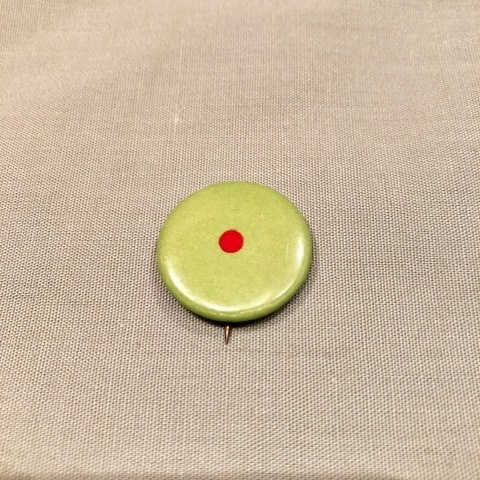 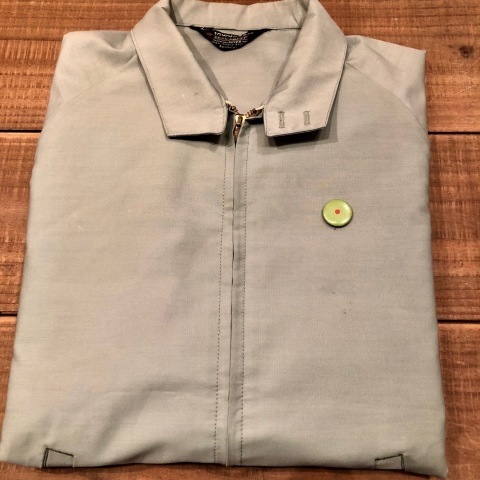 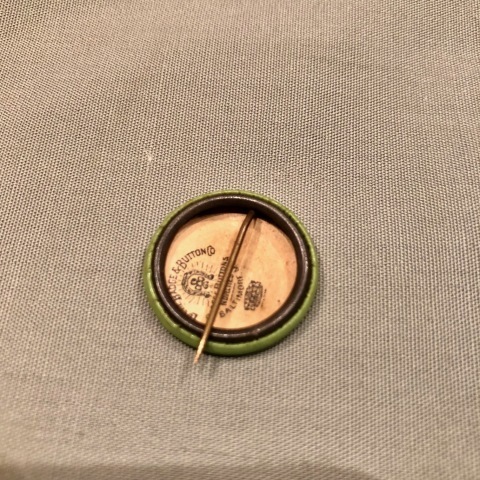 1960-70s " TOWN CRAFT - Penneys - "
" TOWN CRAFT - Penneys - "
1950s " LOCK BADGE ＆ BUTTON CO. "
BRAND : 1950s " LOCK BADGE ＆ BUTTON CO. "
ITEM : OLD PINS . 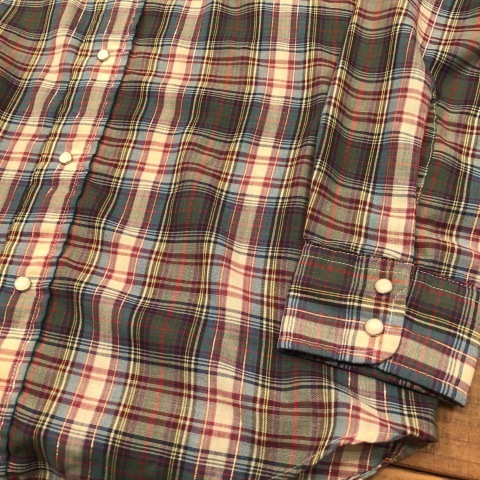 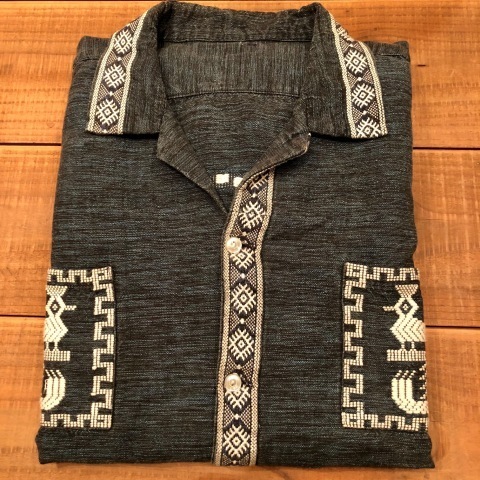 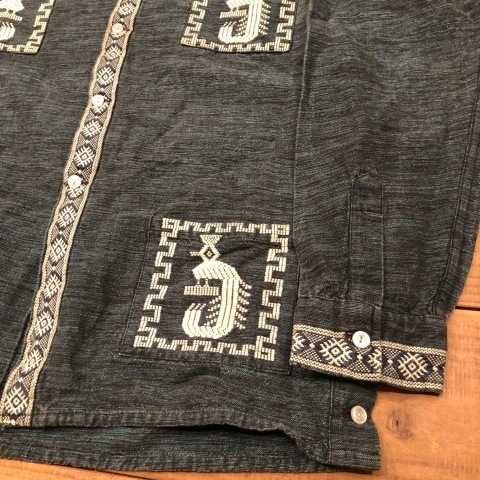 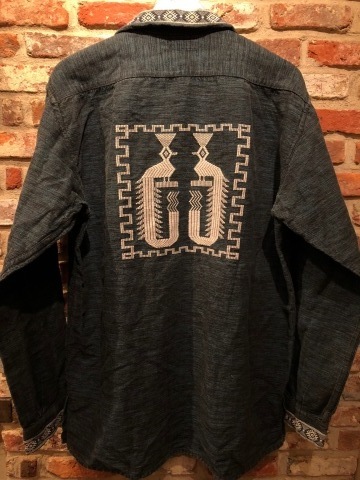 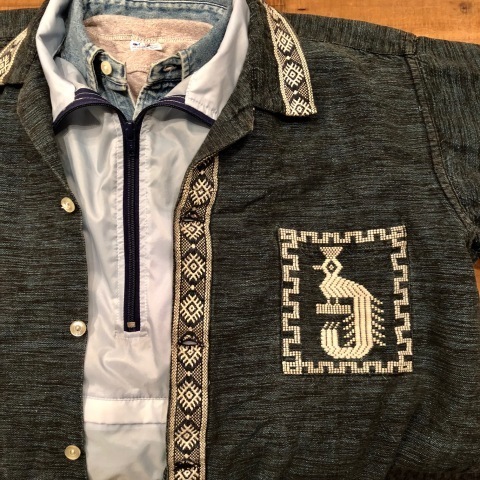 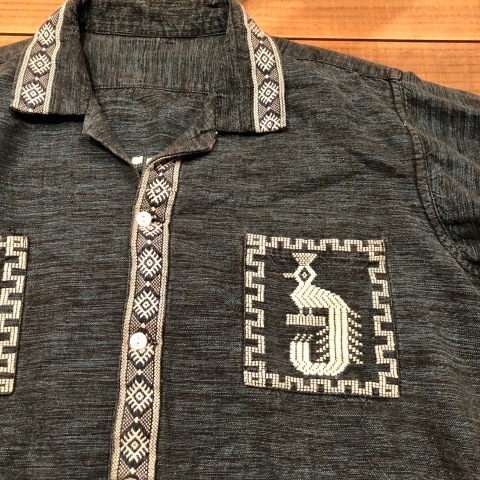 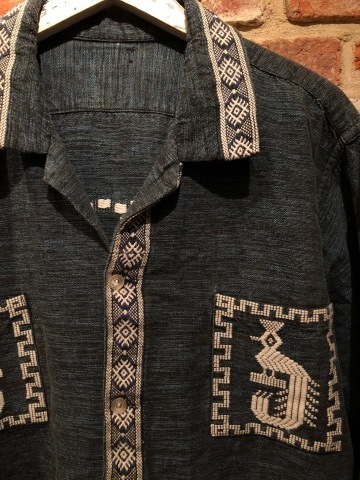 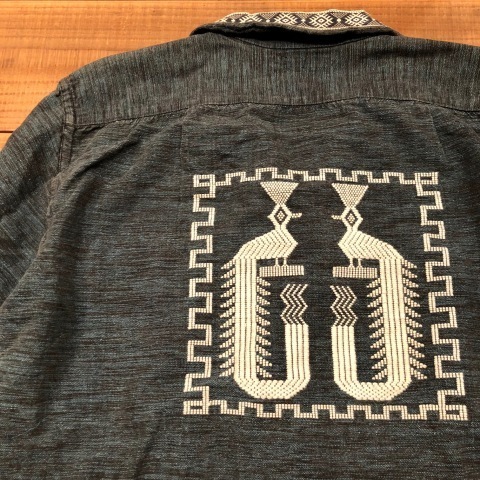 VINTAGE - GUATEMALA - SHIRTS JKT . 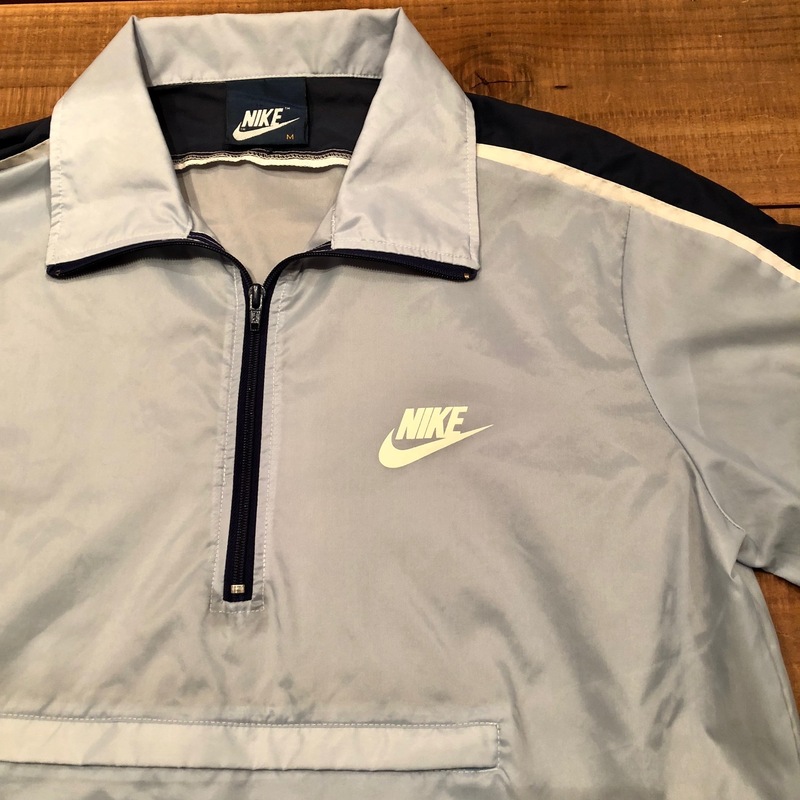 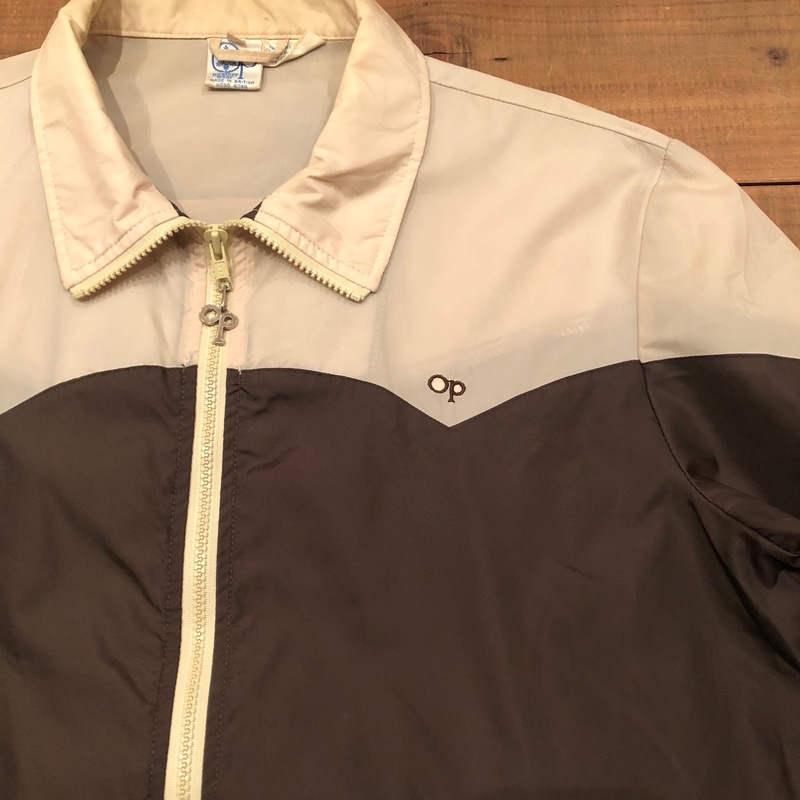 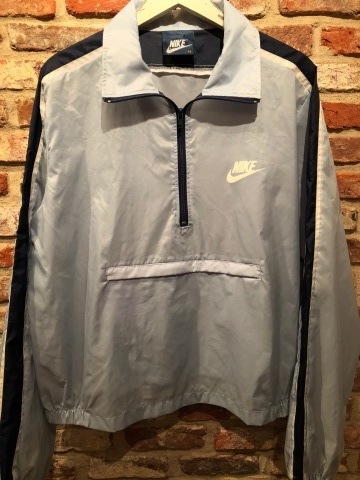 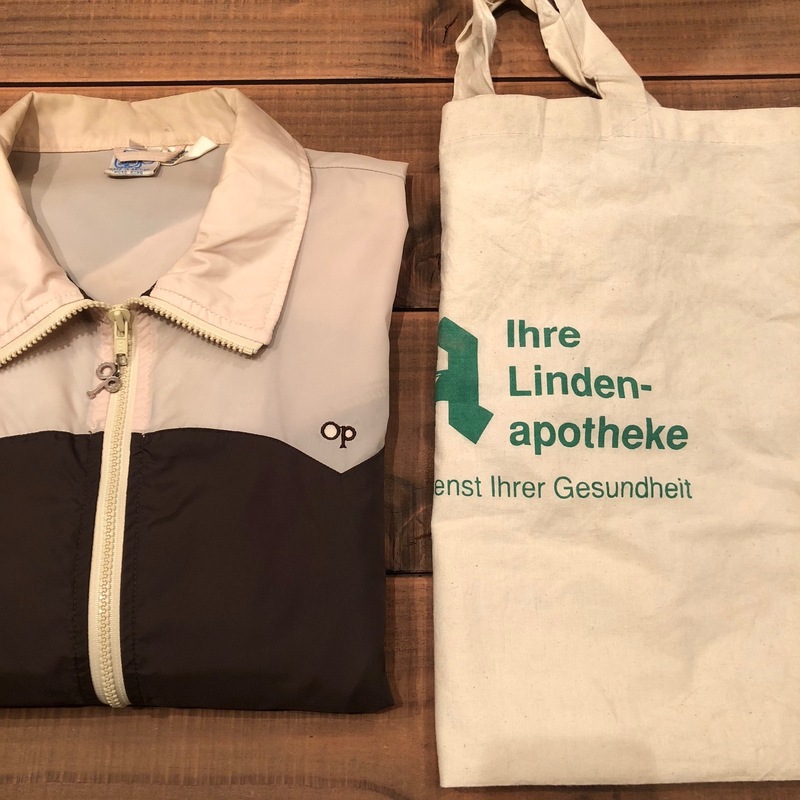 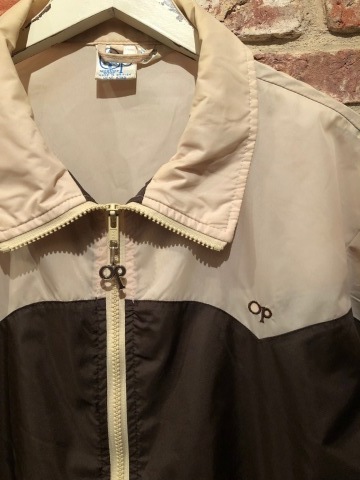 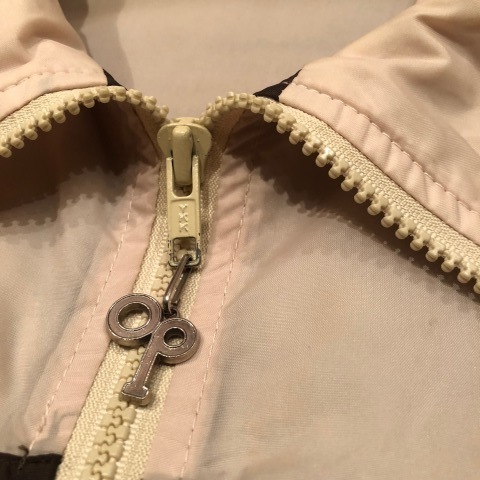 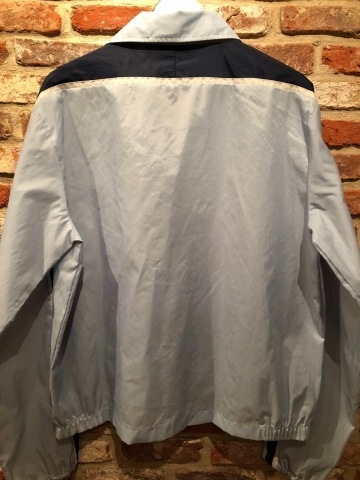 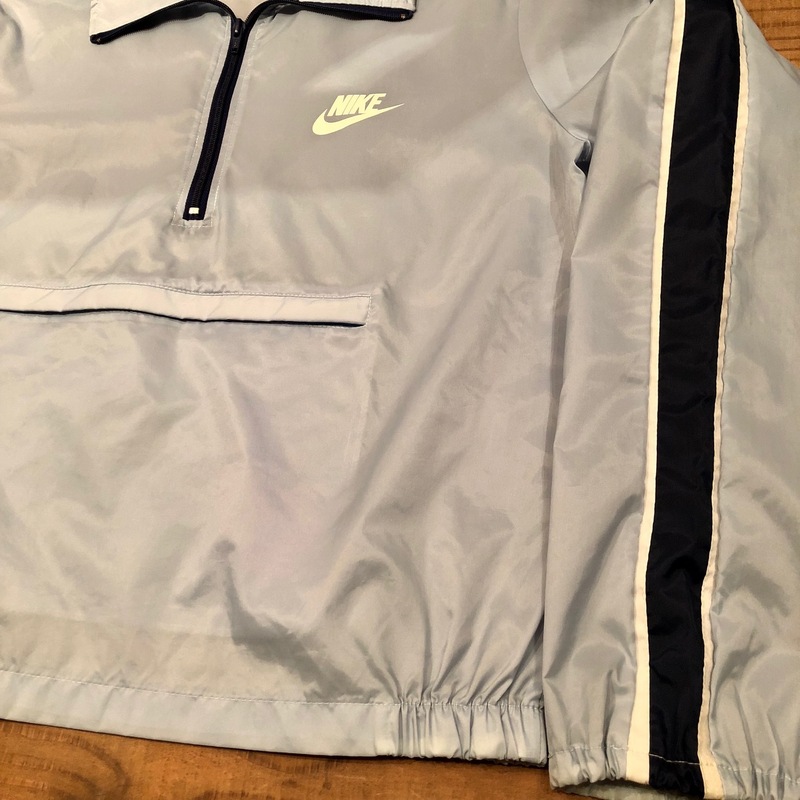 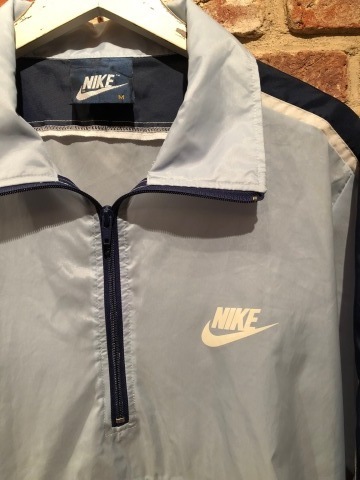 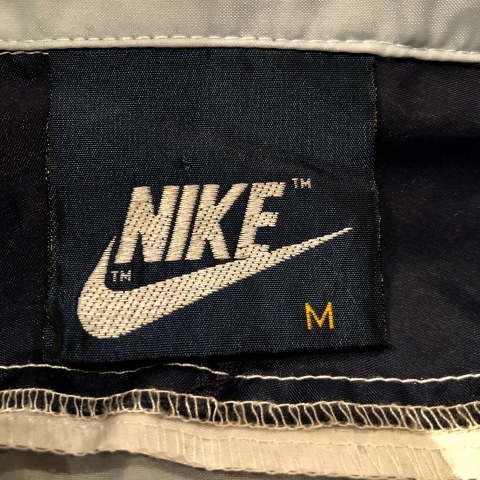 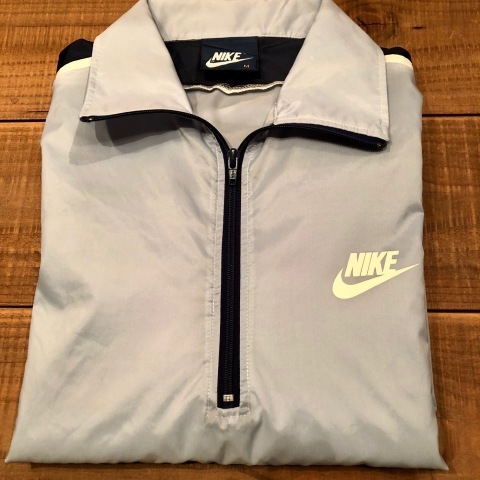 1980s " NIKE - NAVY tag - "
BRAND : 1980s " NIKE - NAVY tag - "
VINTAGE P/O WIND BREAKER . 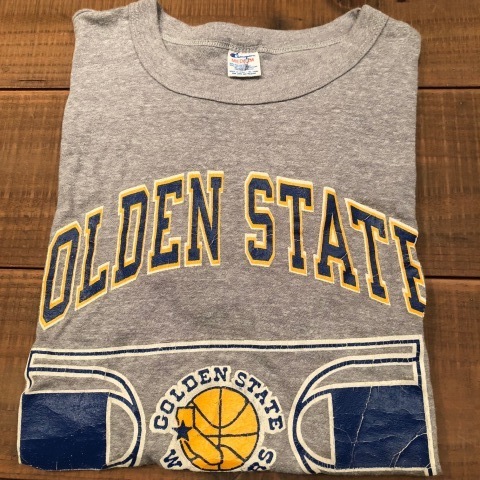 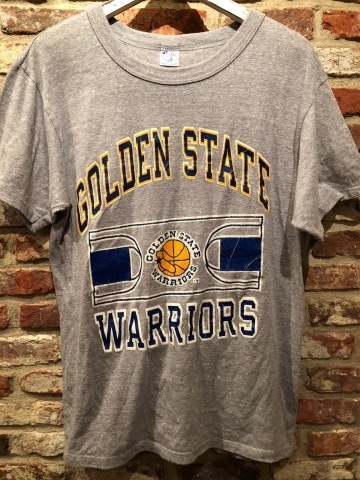 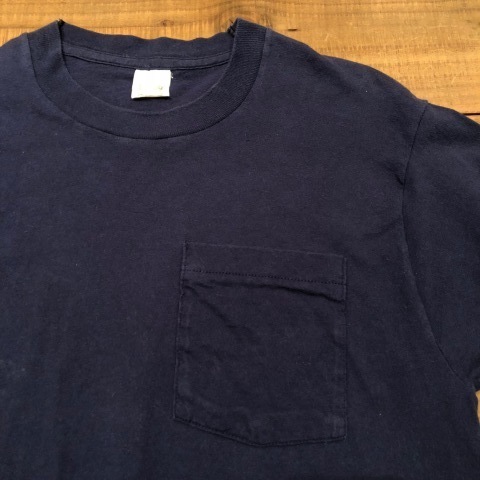 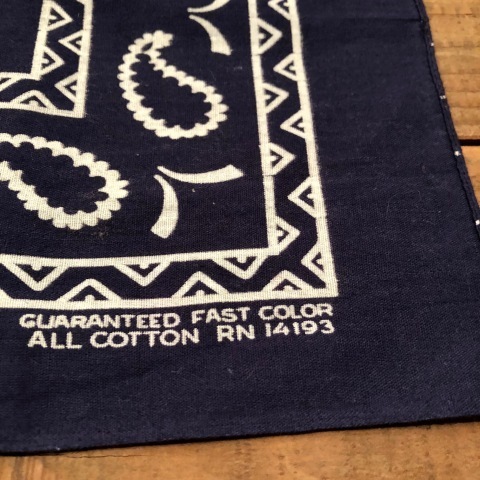 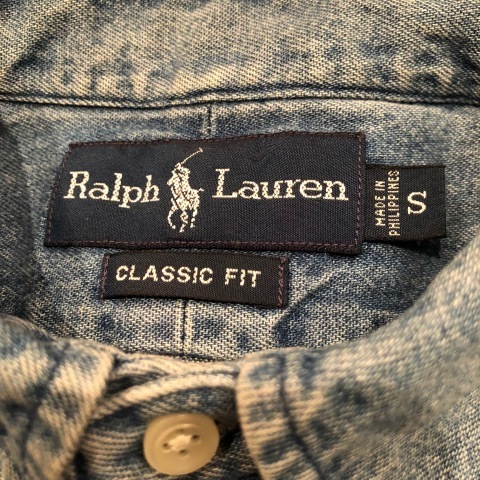 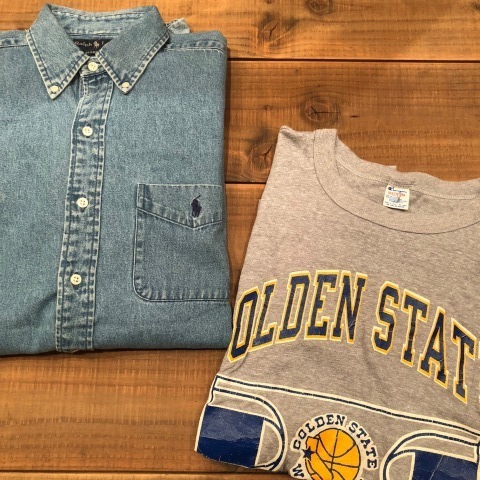 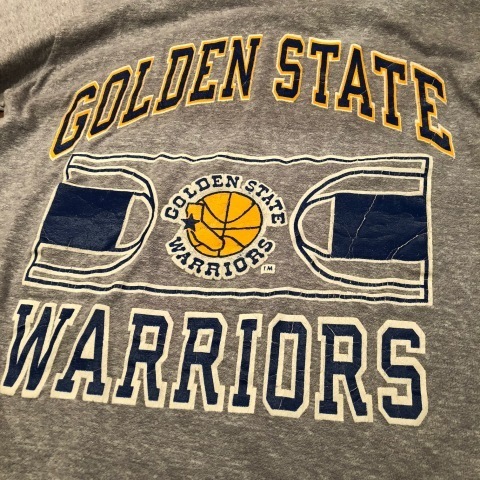 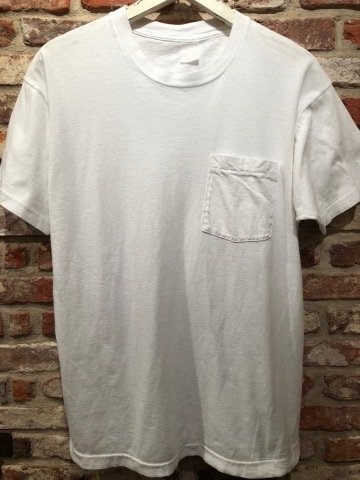 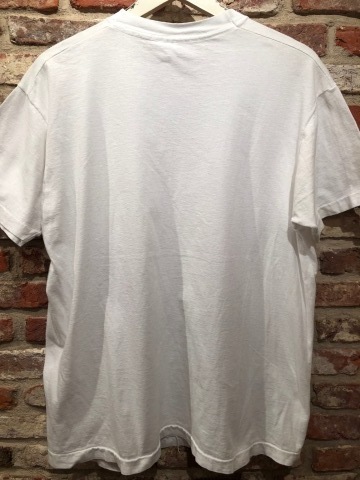 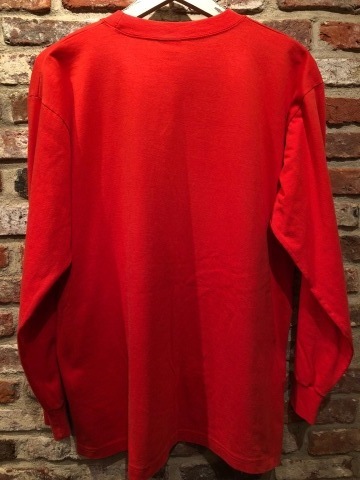 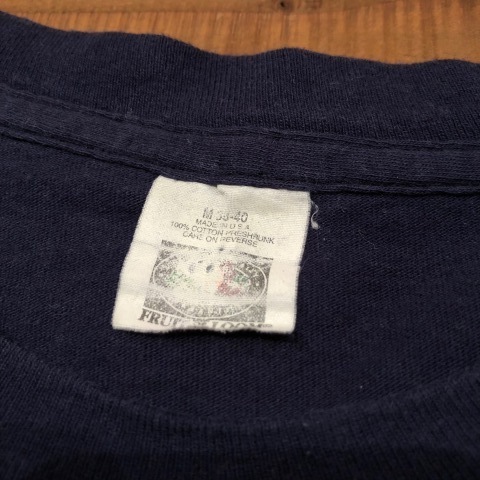 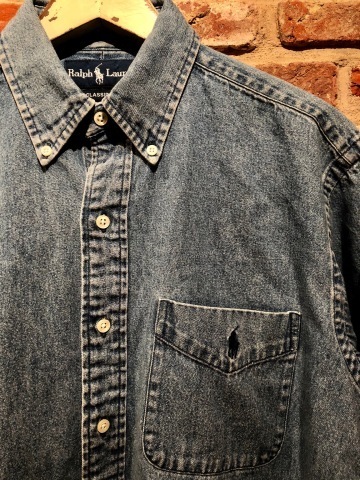 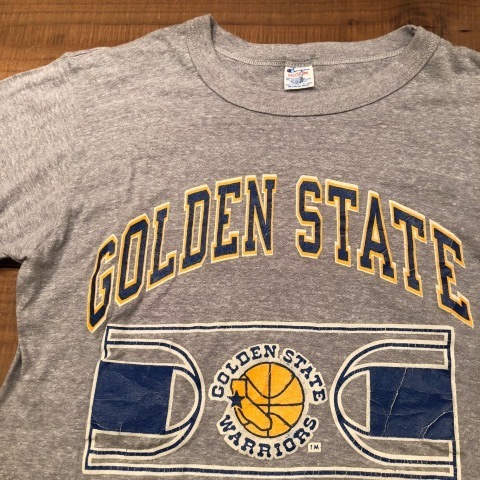 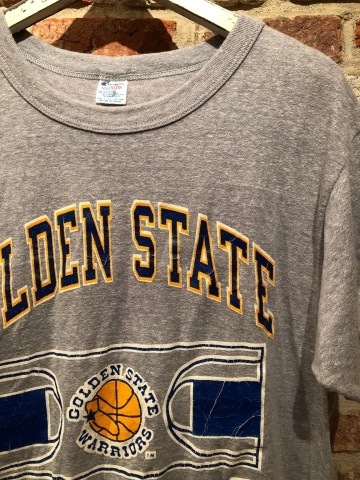 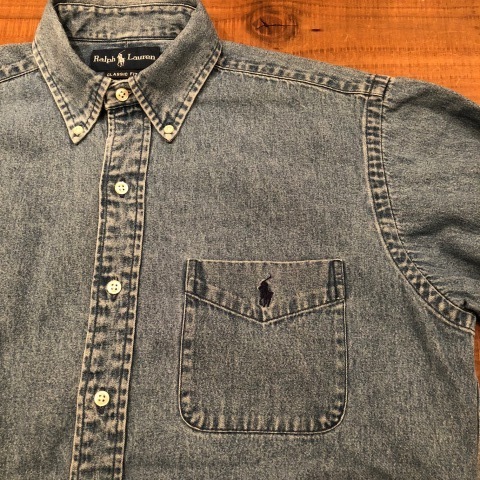 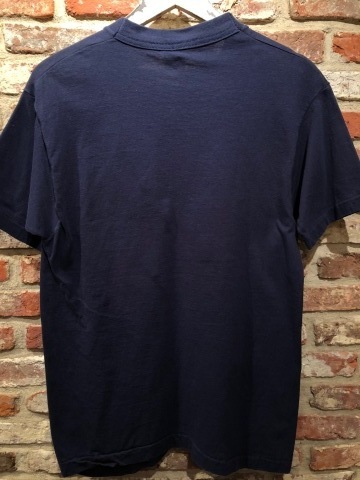 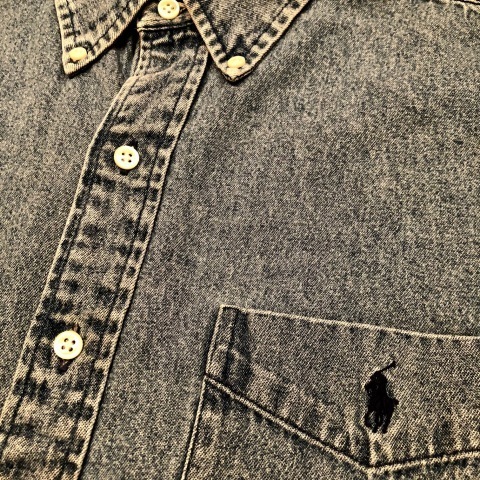 Early 1990s " Ralph Lauren "
BRAND : Early 1990s " Ralph Lauren "
VINTAGE N.B.A Tee SHIRTS . 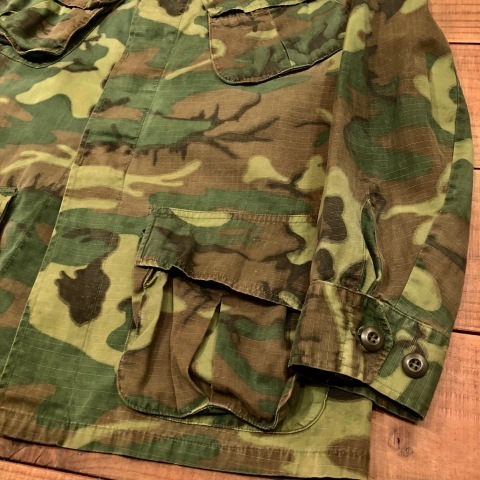 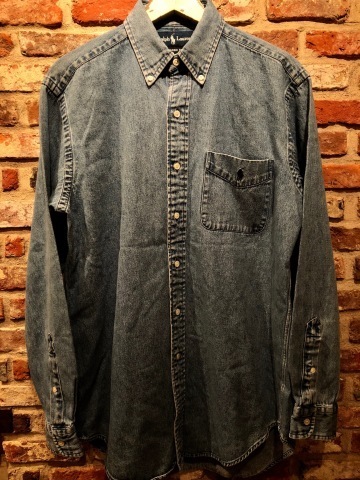 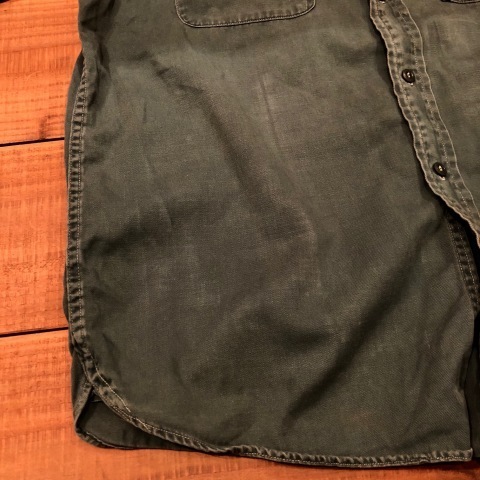 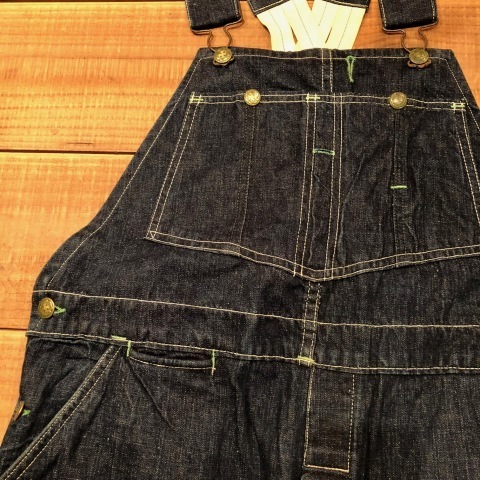 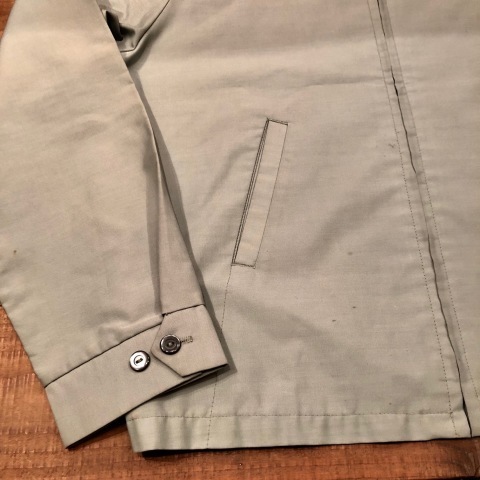 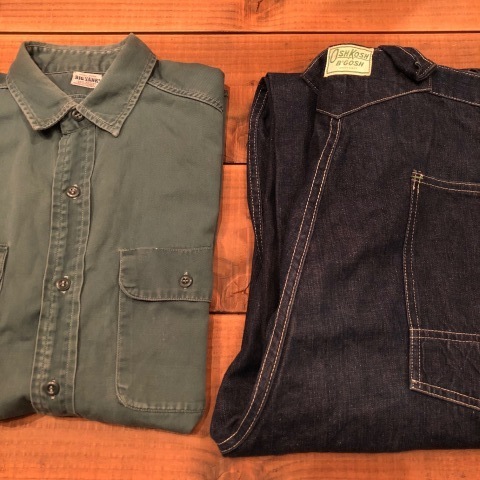 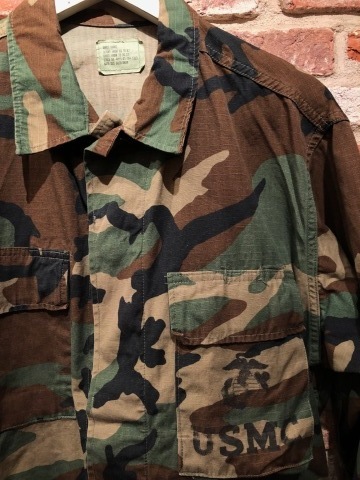 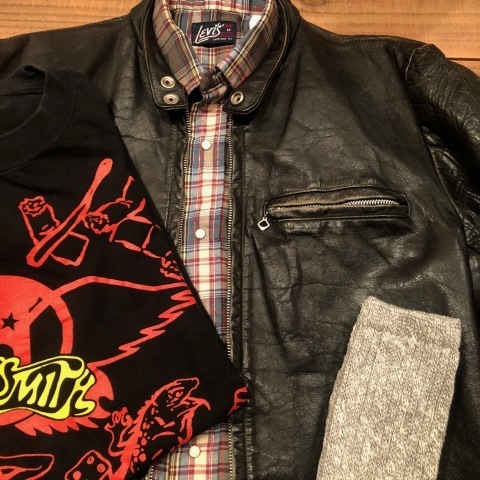 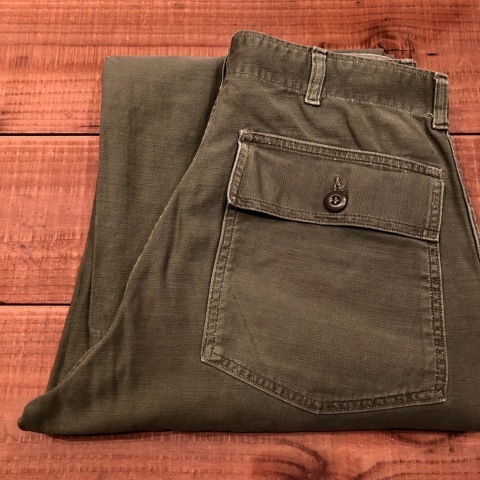 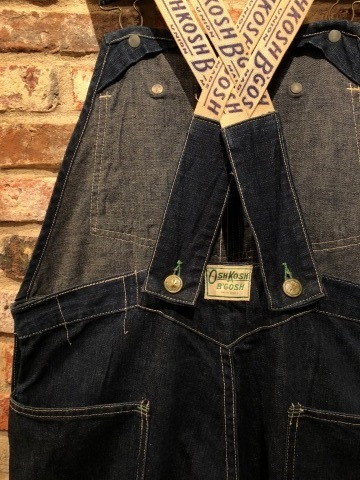 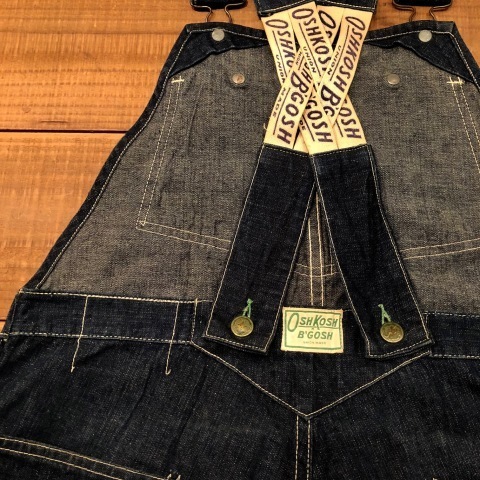 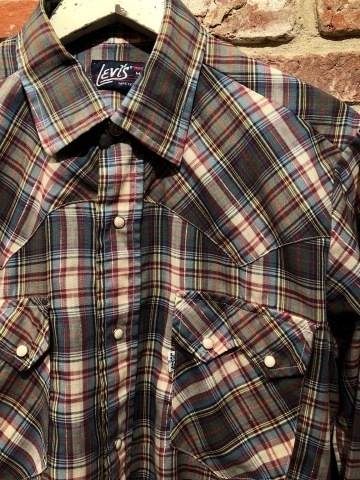 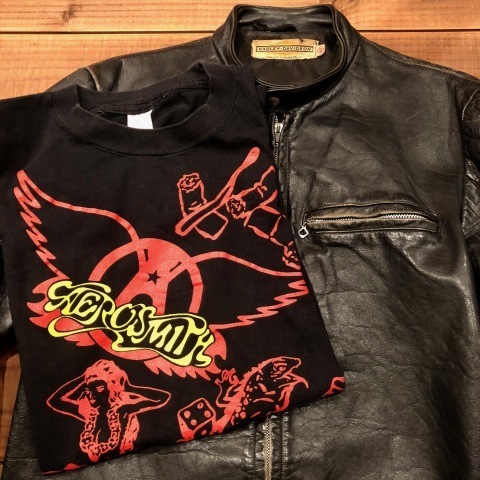 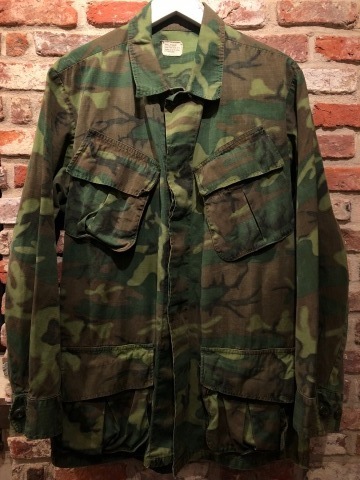 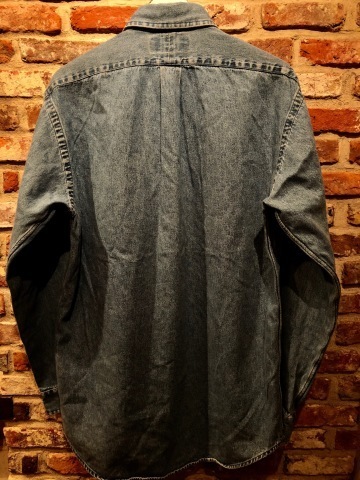 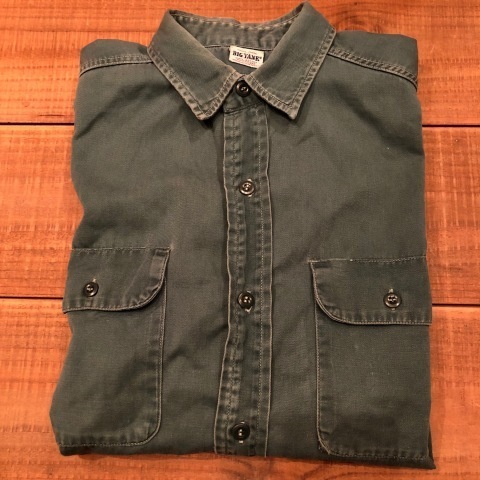 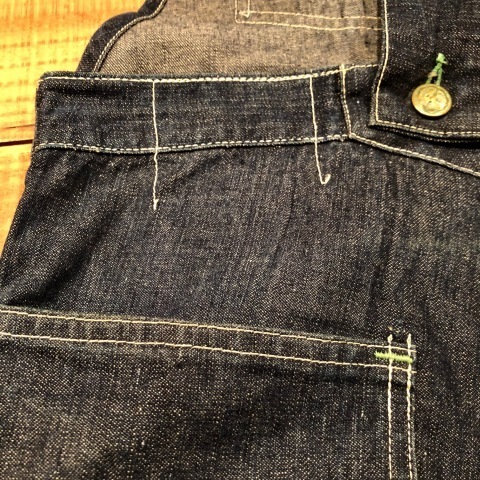 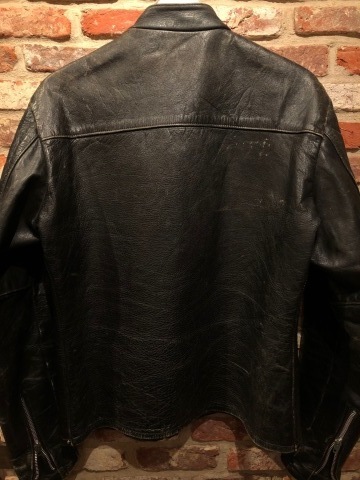 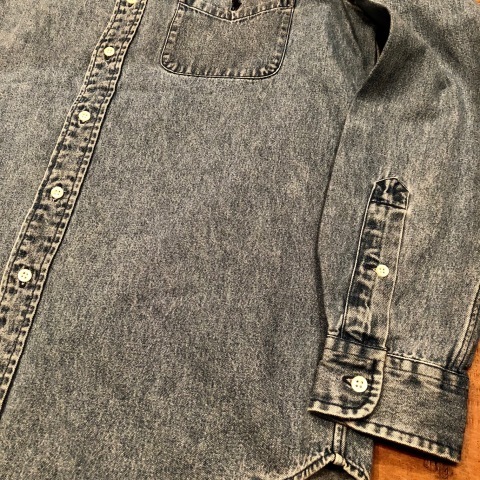 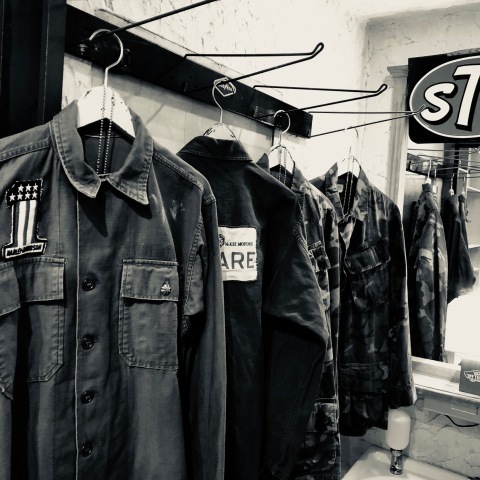 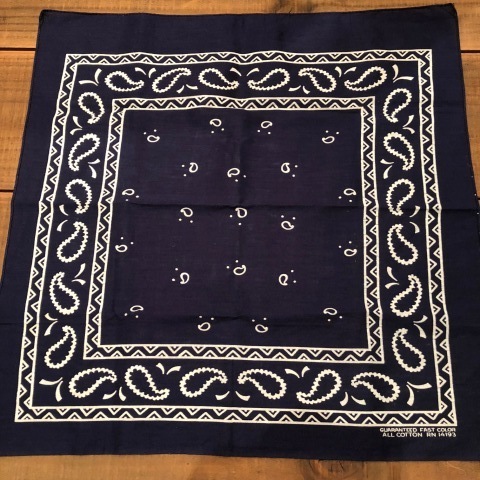 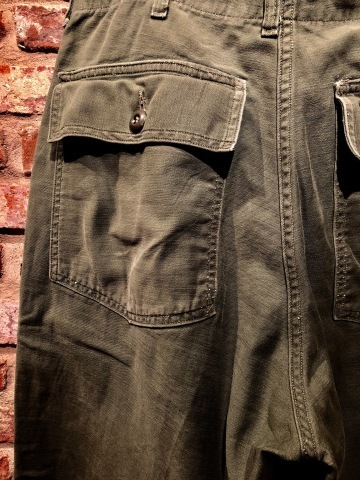 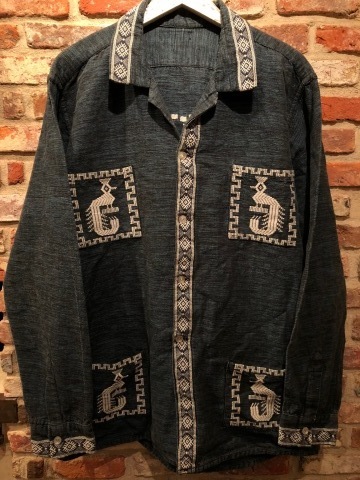 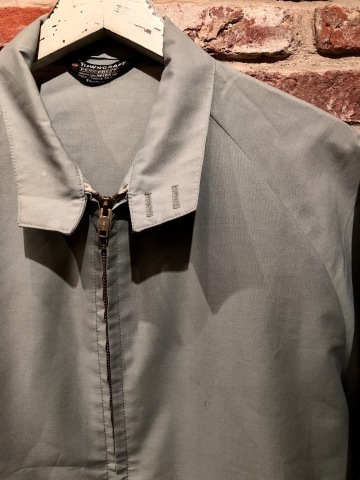 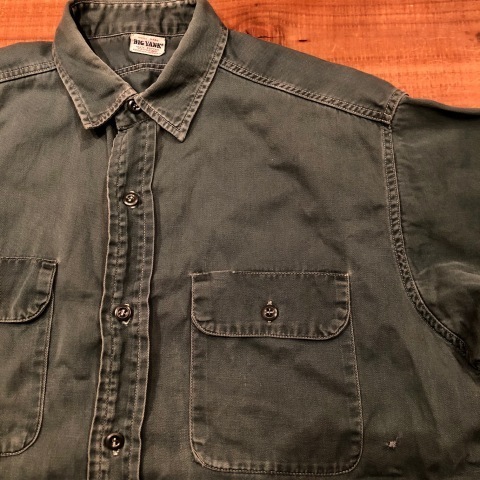 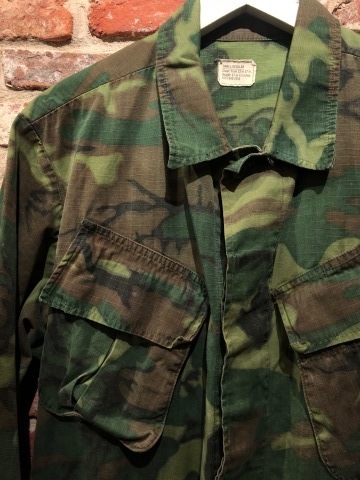 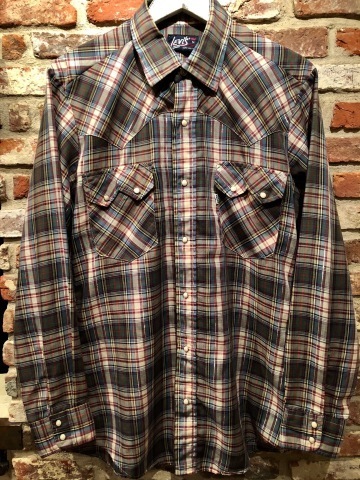 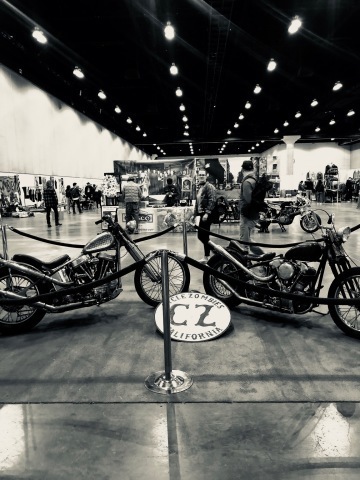 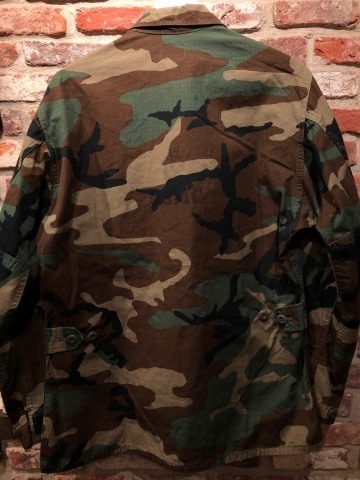 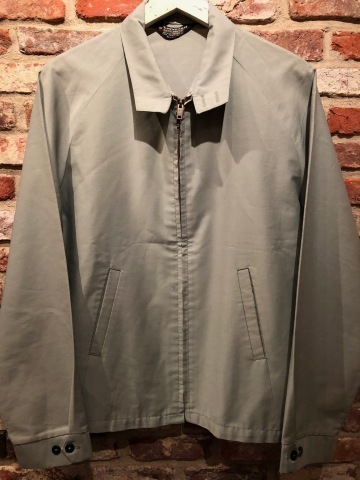 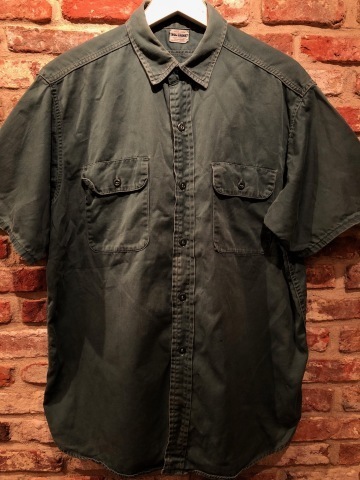 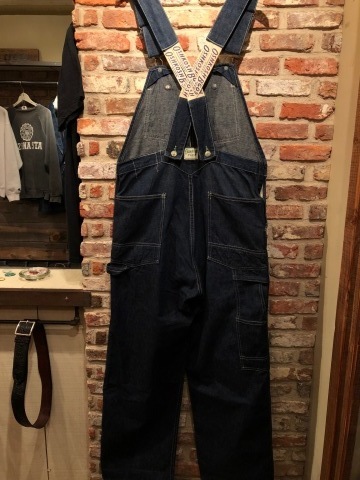 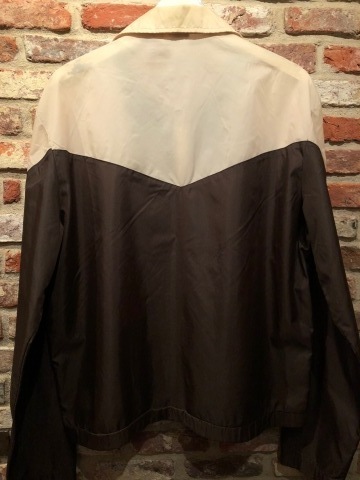 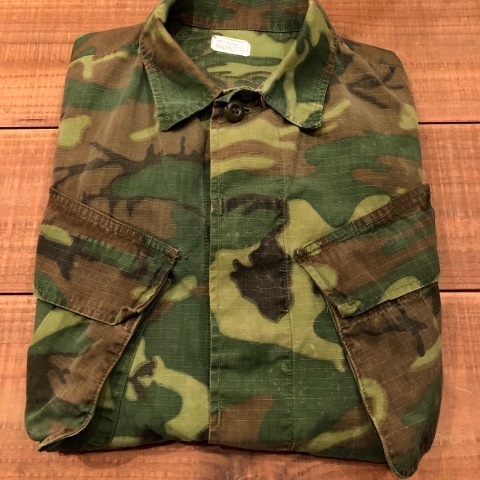 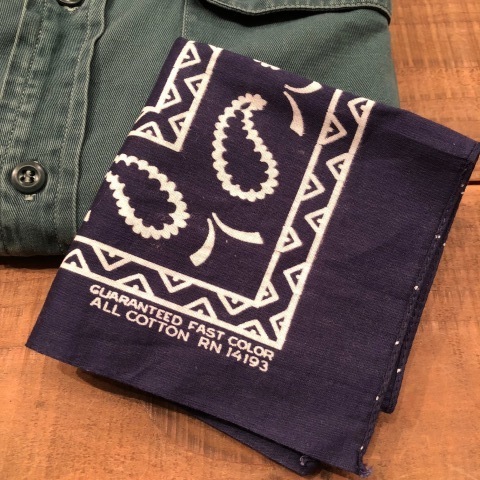 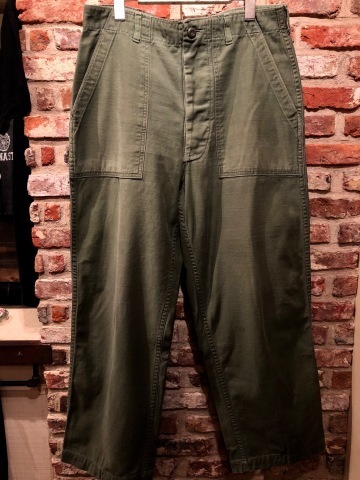 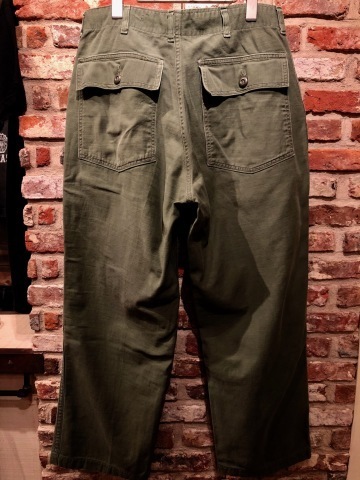 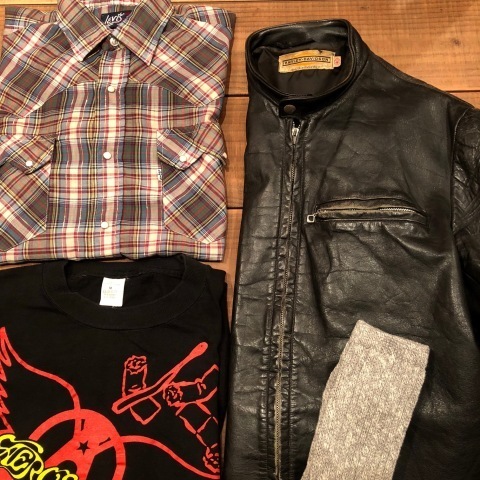 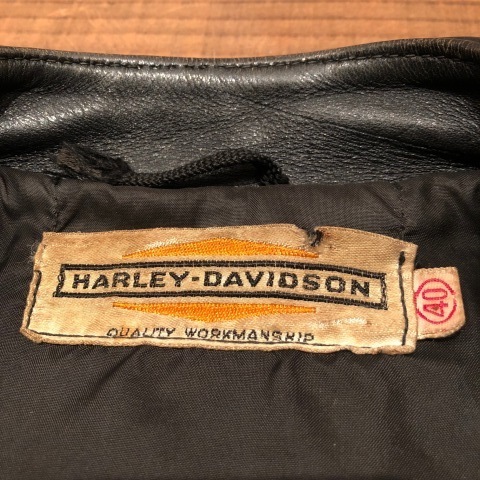 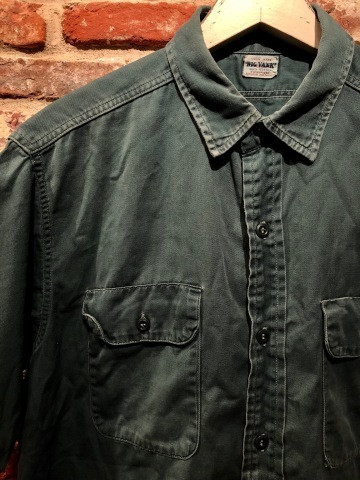 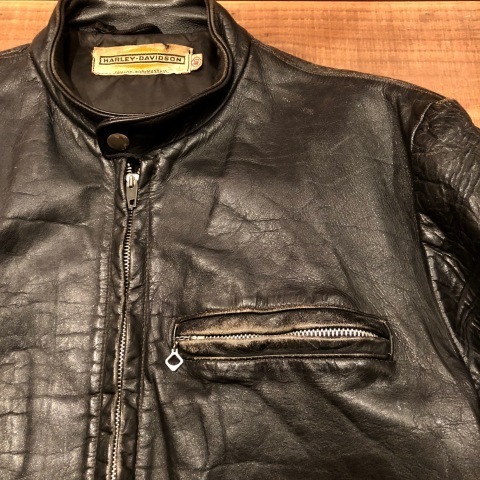 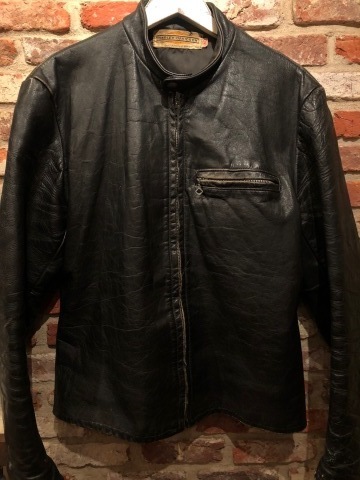 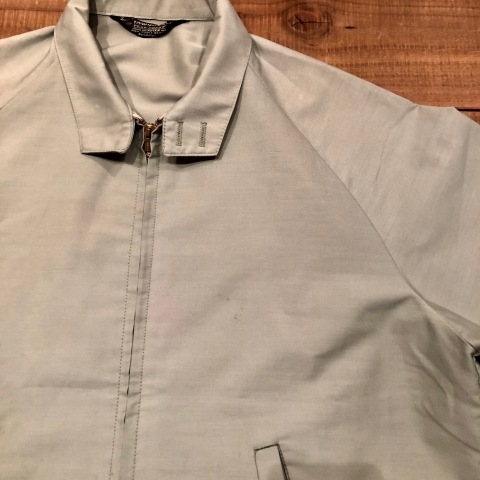 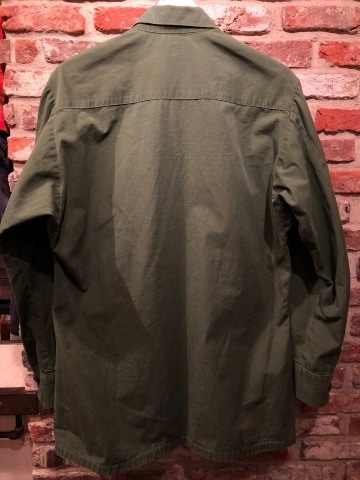 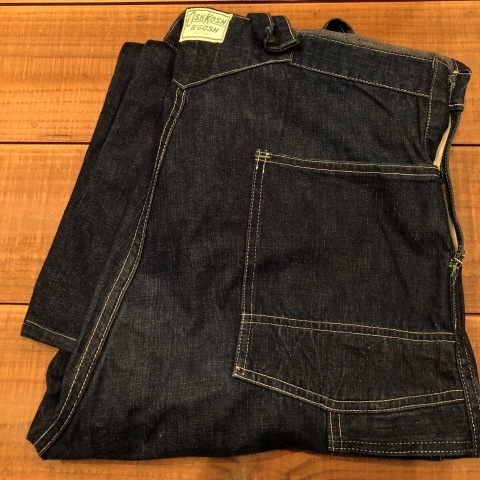 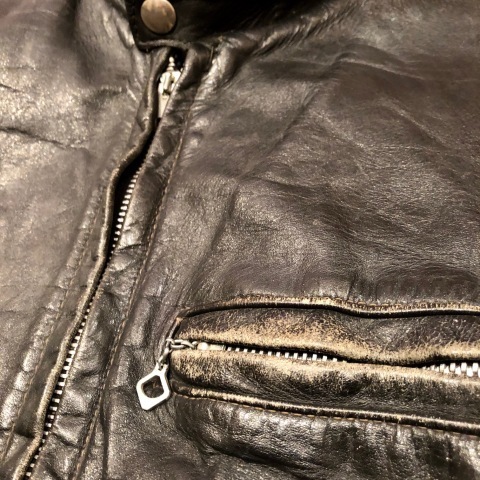 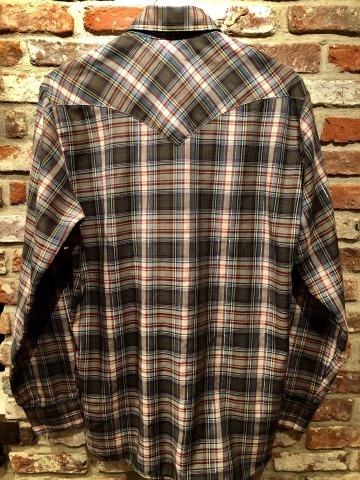 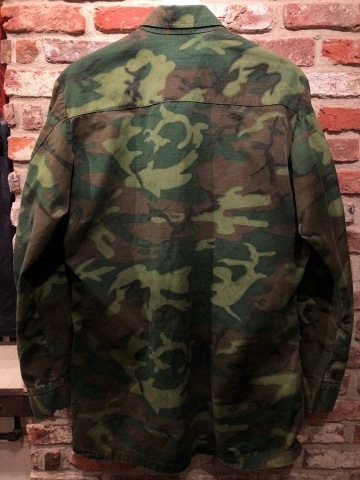 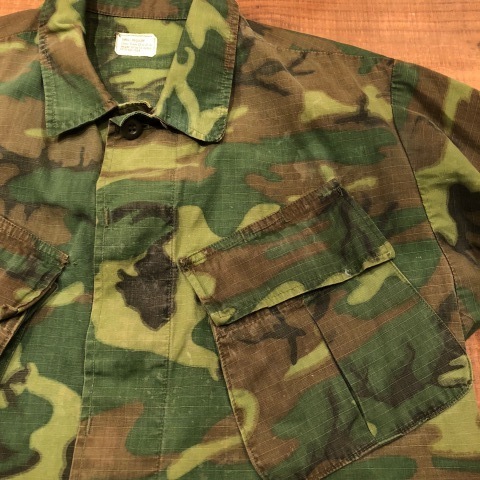 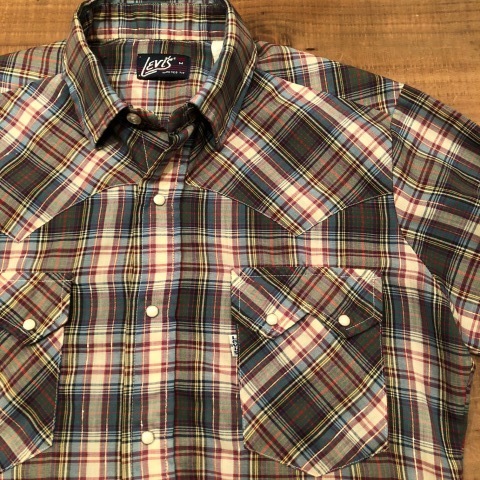 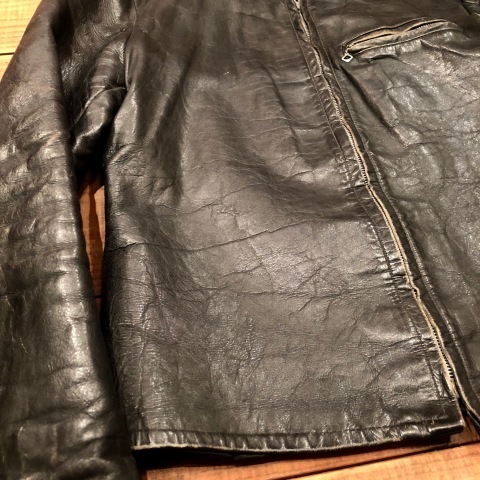 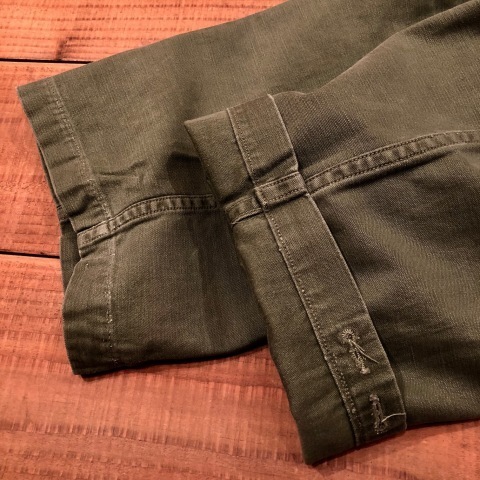 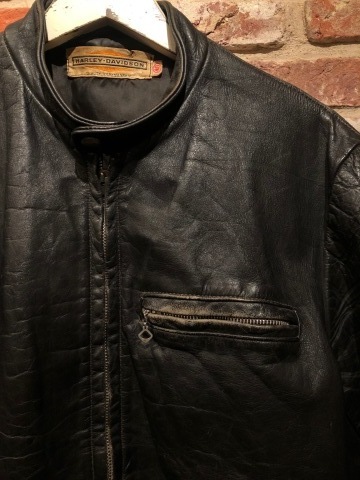 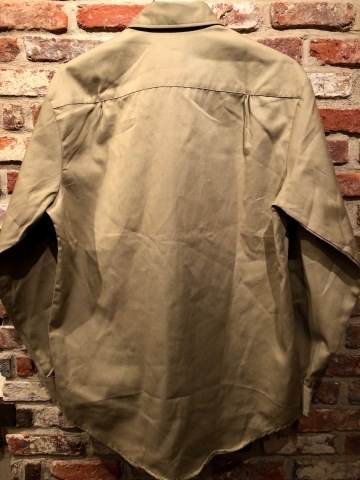 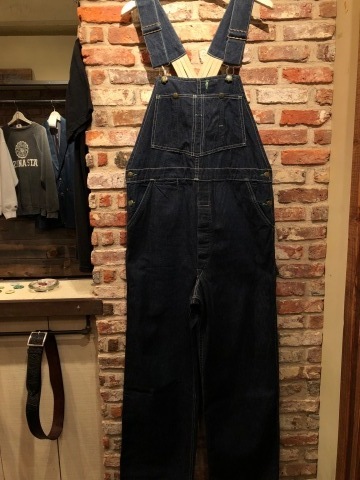 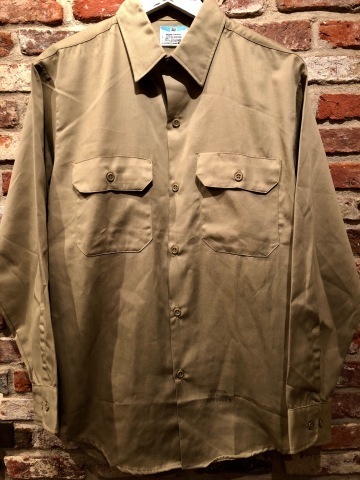 1960s " HARLEY DAVIDSON "
BRAND : 1960s " HARLEY DAVIDSON "
" AERO FORCE ( エアロ・フォース ) "
VINTAGE CHECK WESTERN SHIRTS . 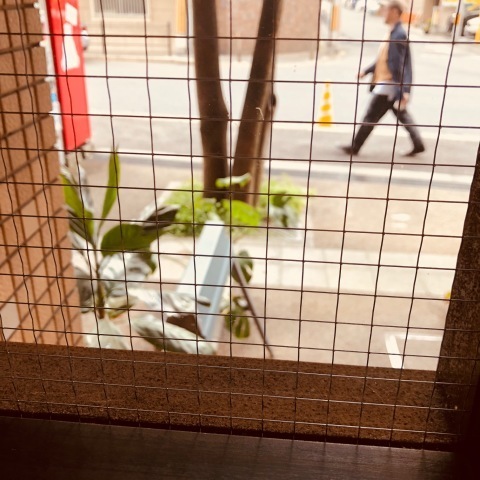 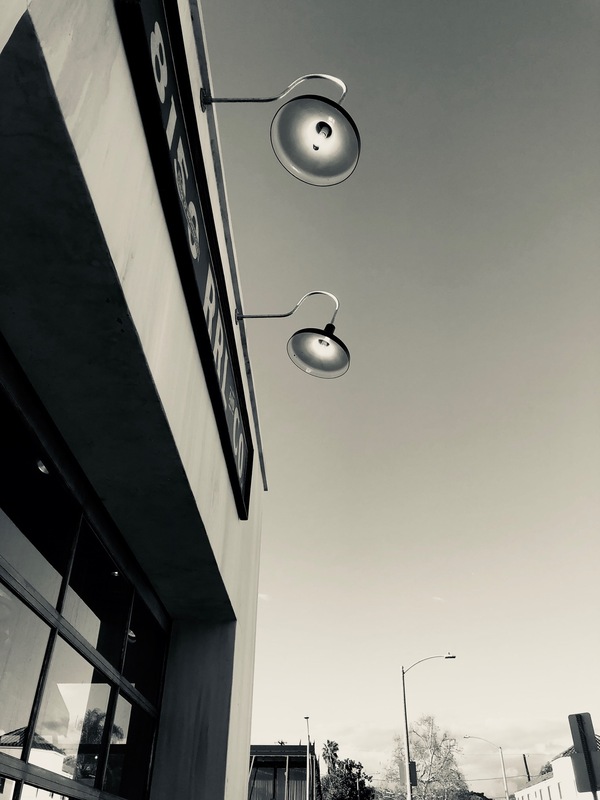 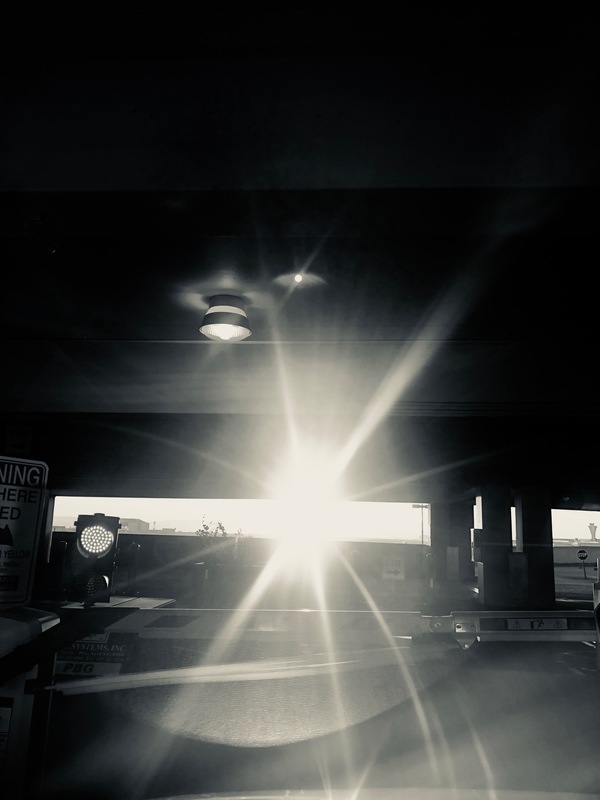 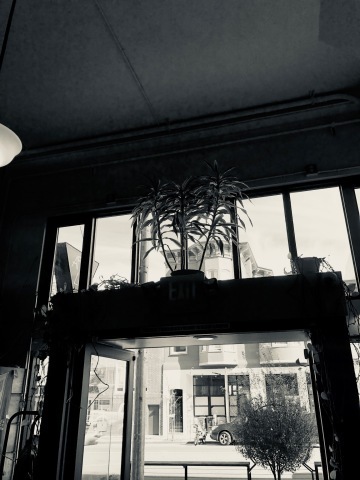 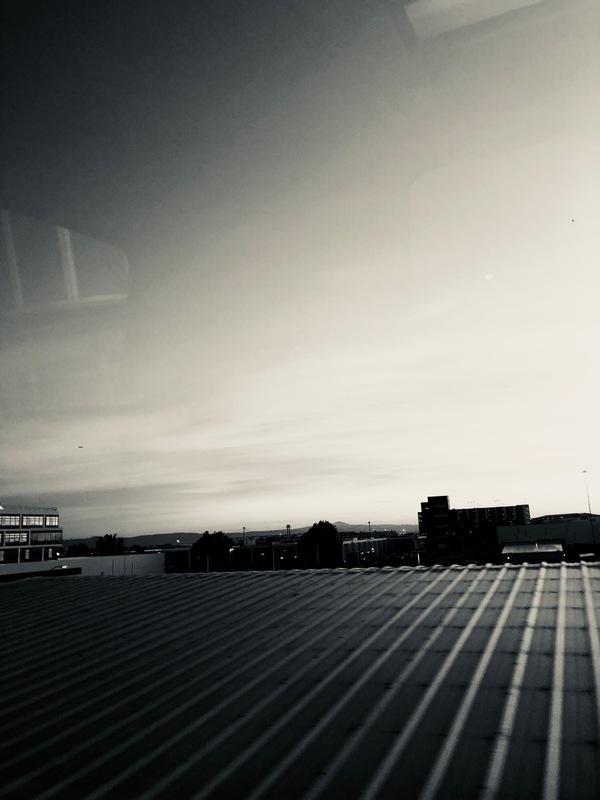 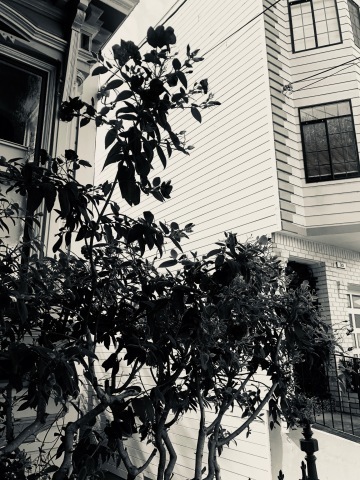 1F 2-3-18 MINAMIHORIE21 bldg . 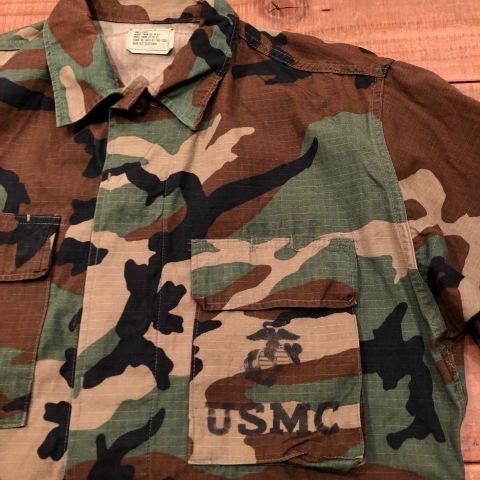 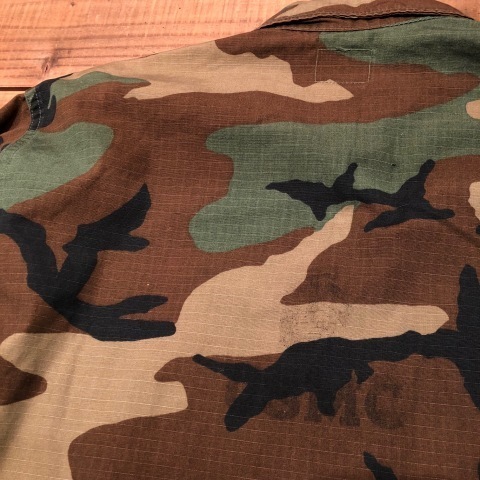 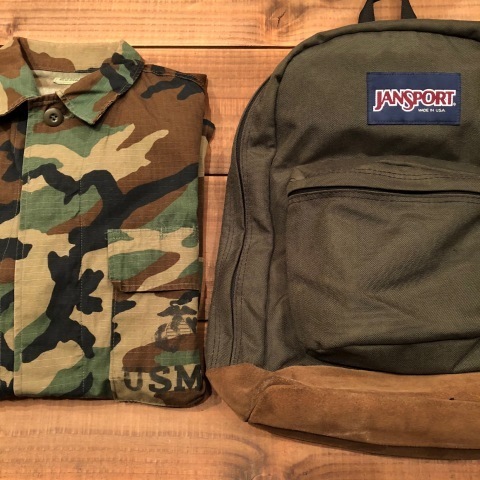 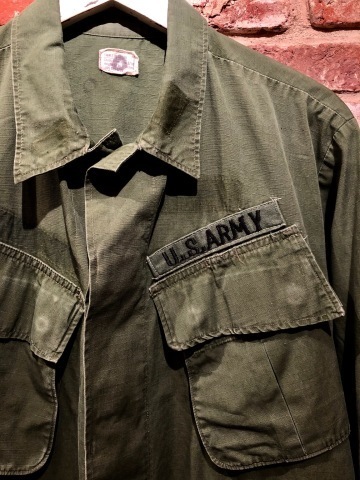 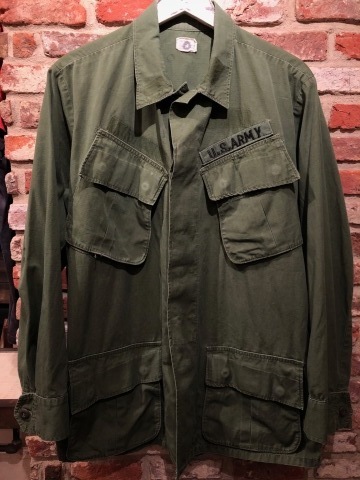 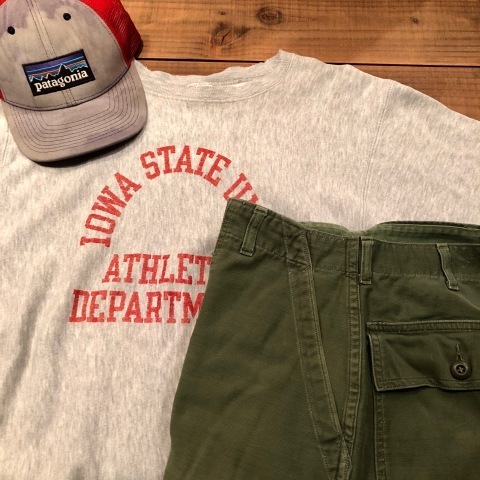 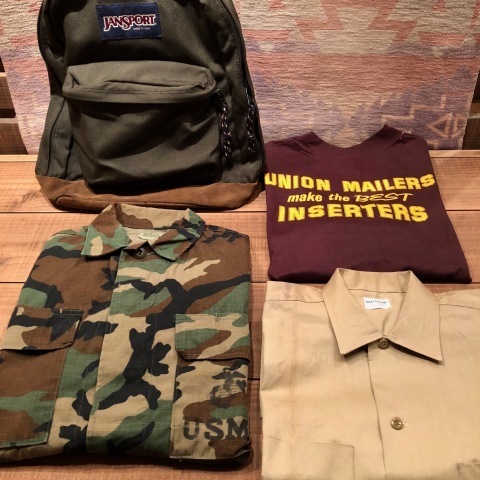 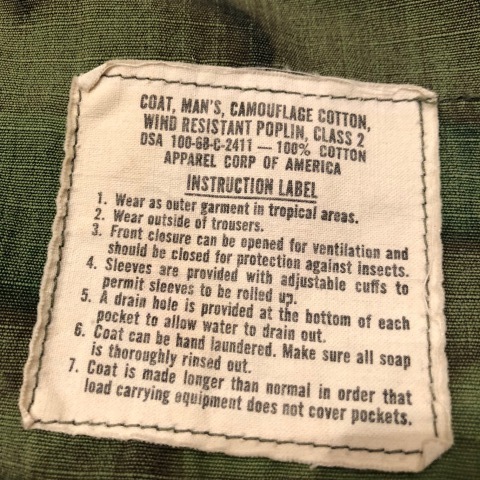 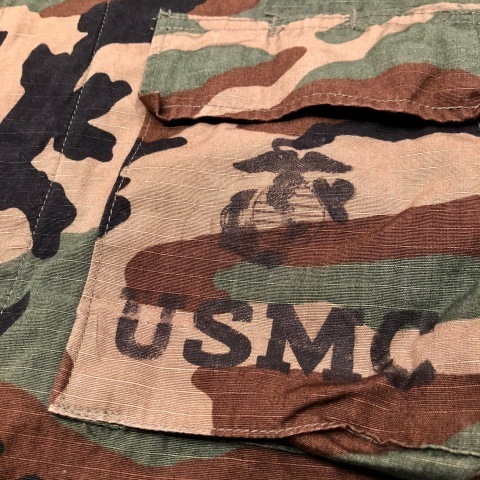 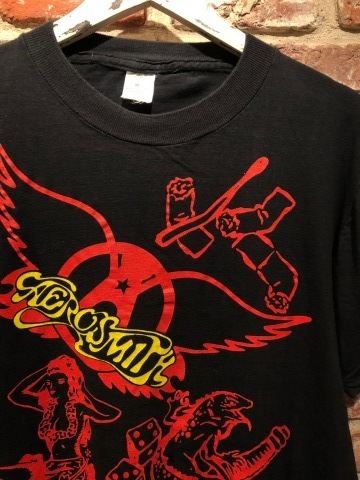 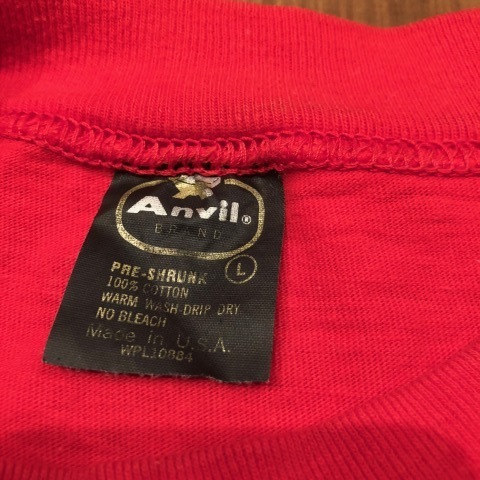 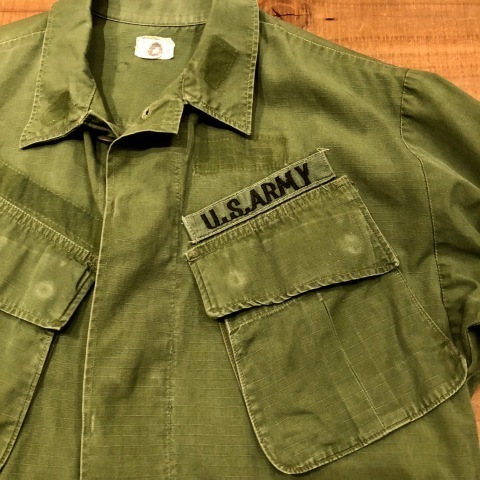 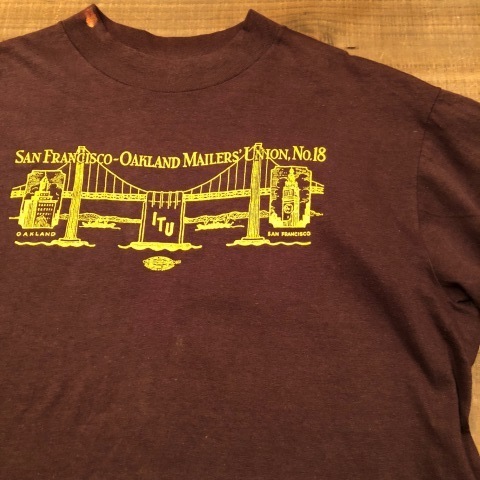 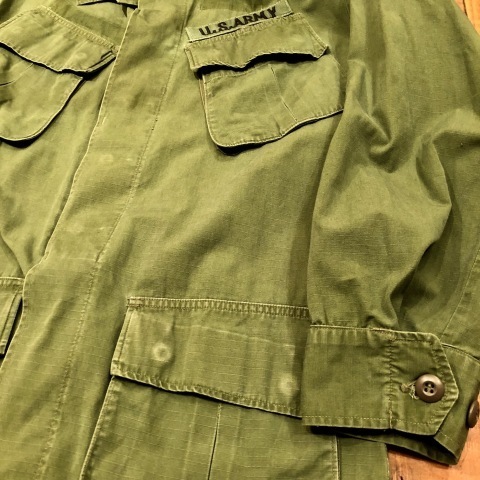 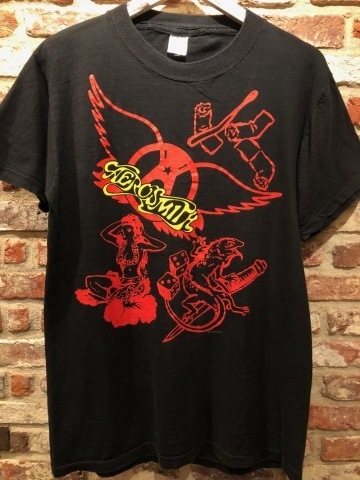 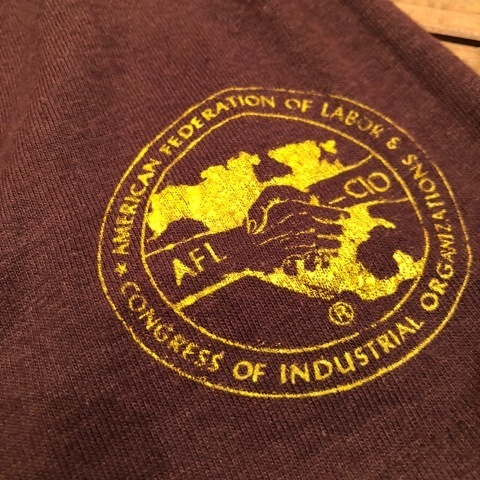 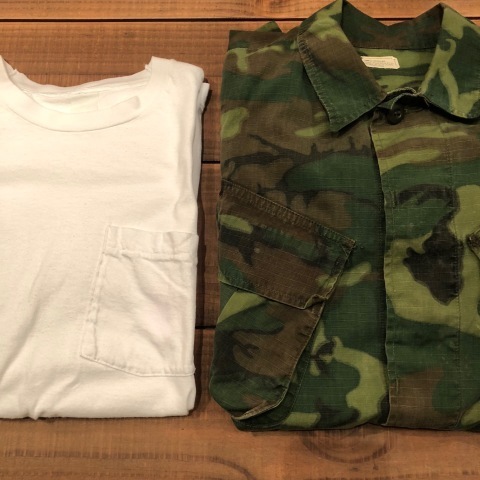 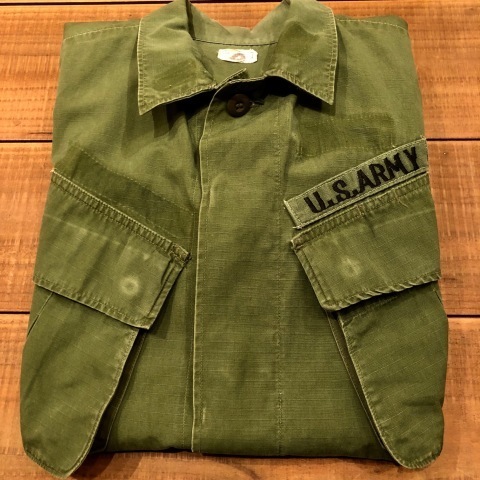 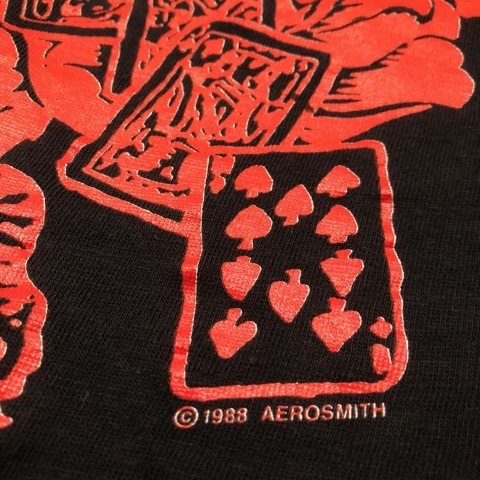 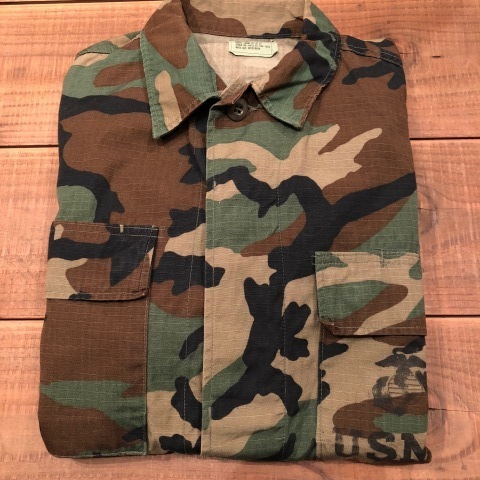 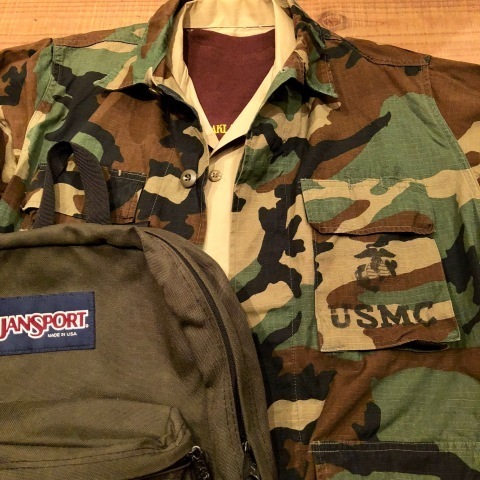 1969 " U.S ARMY "
BRAND : 1969 " U.S ARMY "
Early 1980s " ANVIL "
BRAND : Early 1980s " ANVIL "
VINTAGE NOVELTY Tee SHIRTS . 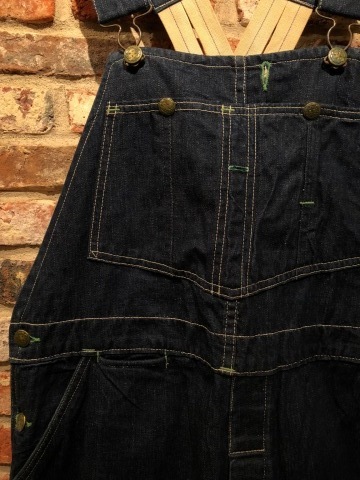 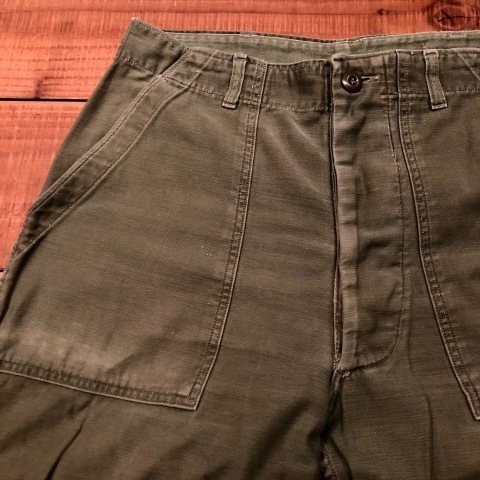 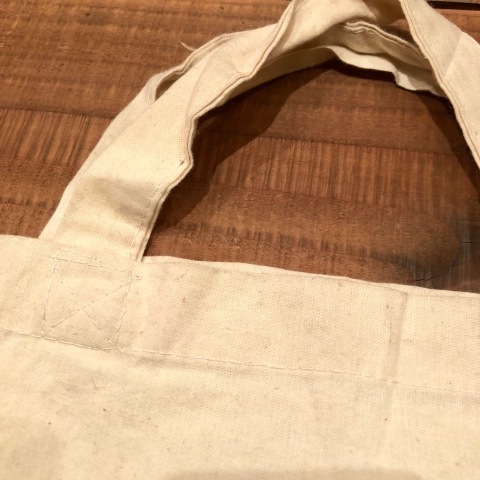 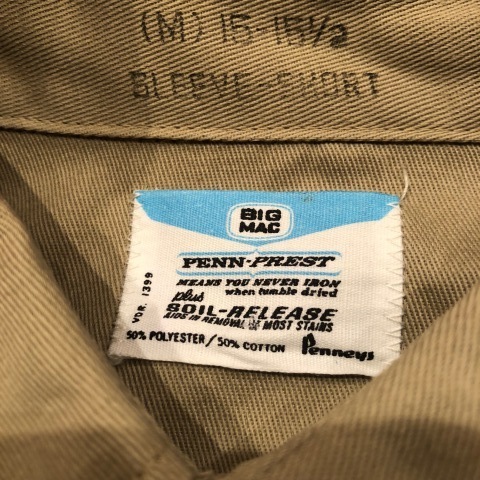 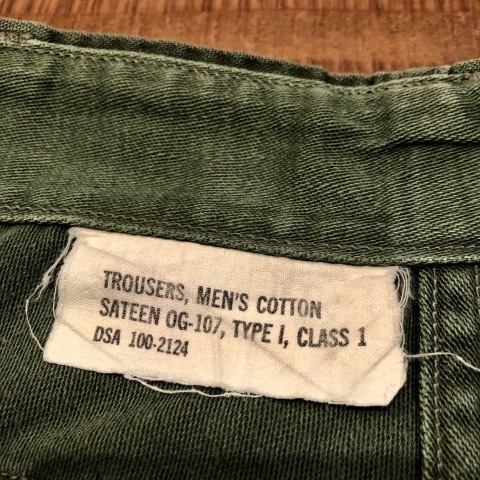 BRAND : 1970s " BIG MAC "